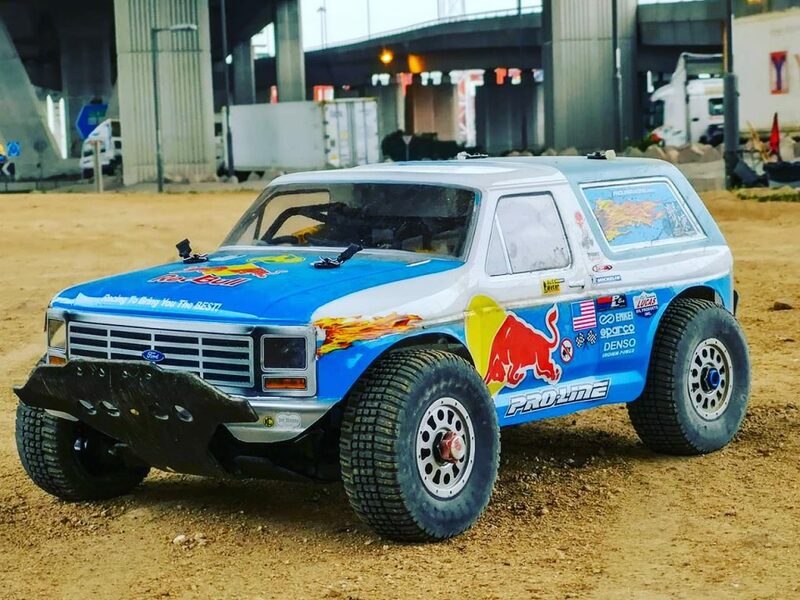 We are always excited to see our products figuring in the hallowed ranks of bashing fan fame. 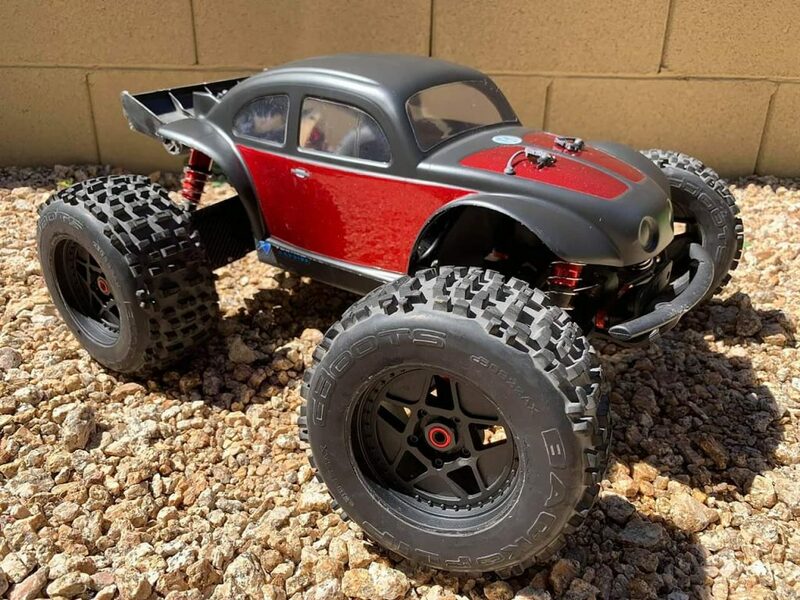 The dedicated team at Big Squid RC have recently hosted their annual March Bashness League, which allows bashing fans all over the world the opportunity to vote which RC vehicle they rate the highest. 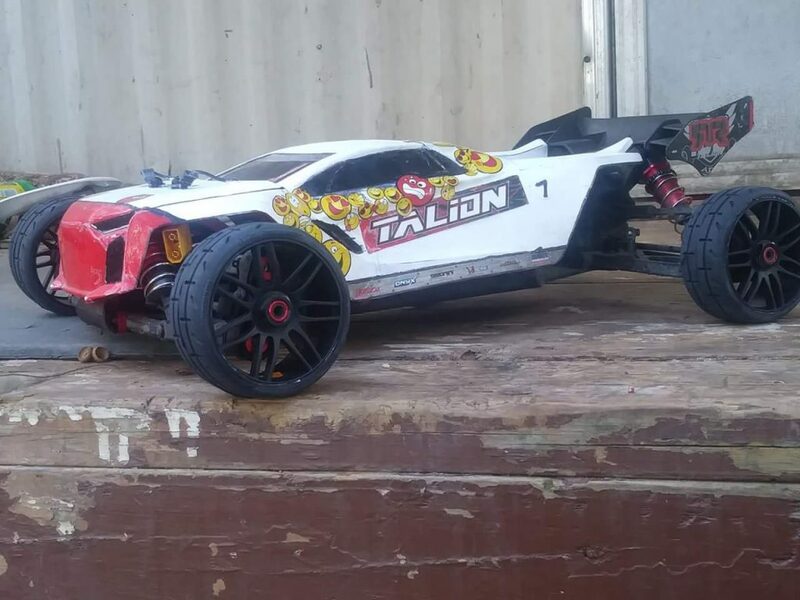 For the second year running, Big Squid awarded the KRATON 6S BLX top honours, shrugging of some lively competition on its way to publicly voted 2019 championship success. 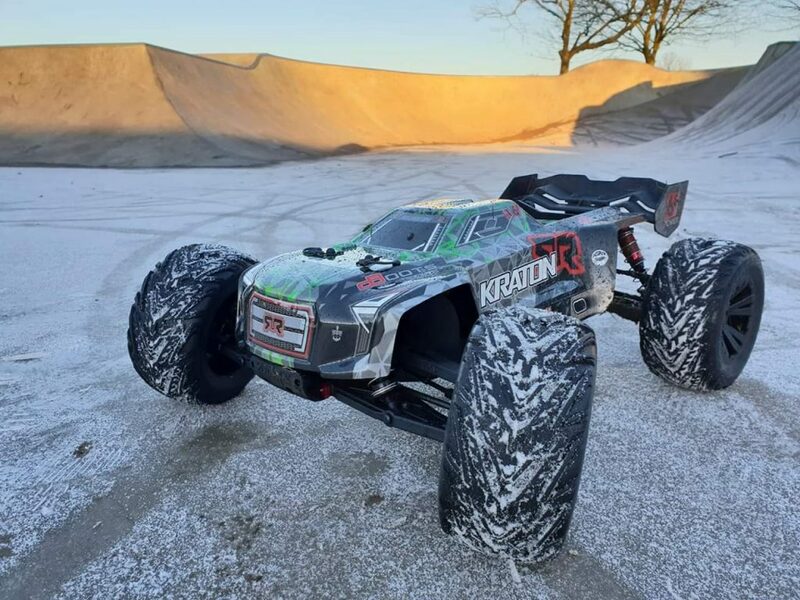 We are very grateful for the support we have been shown by our global ARRMA Army. 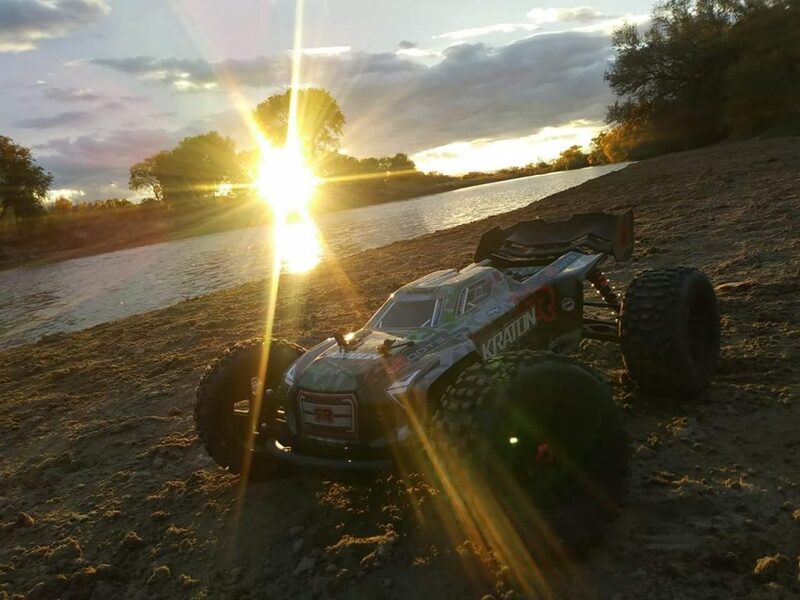 We are also thankful for the continued hard work shown by Big Squid RC, who are a shining light in the world of independent RC journalism. 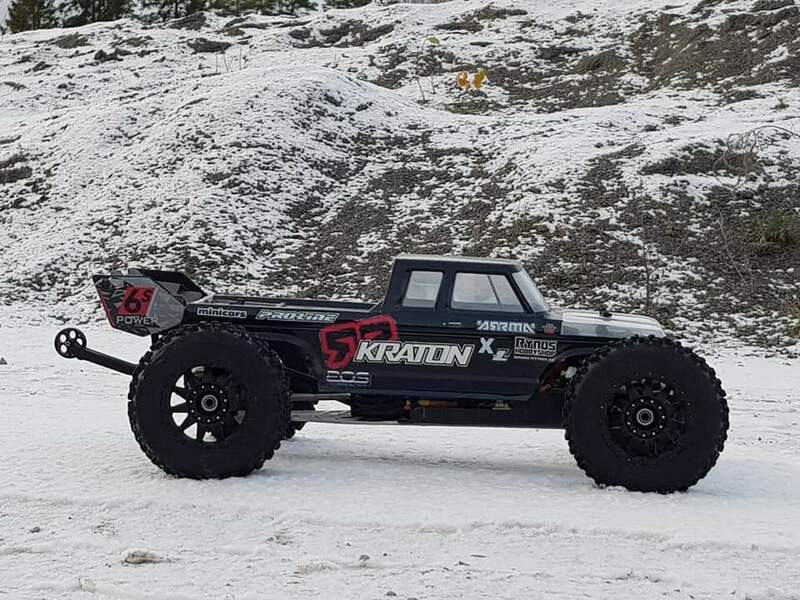 With 2019 already hotting up at ARRMA HQ, the KRATON 6S BLX continues its all-terrain journey, supported by thousands of fans who don’t just bash, they BLAST. 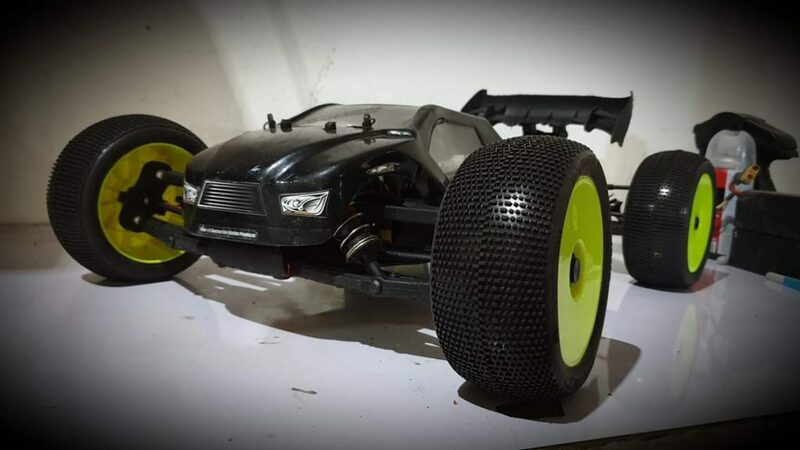 ARRMA bashing vehicles are widely regarding as good looking beasts, from every angle. 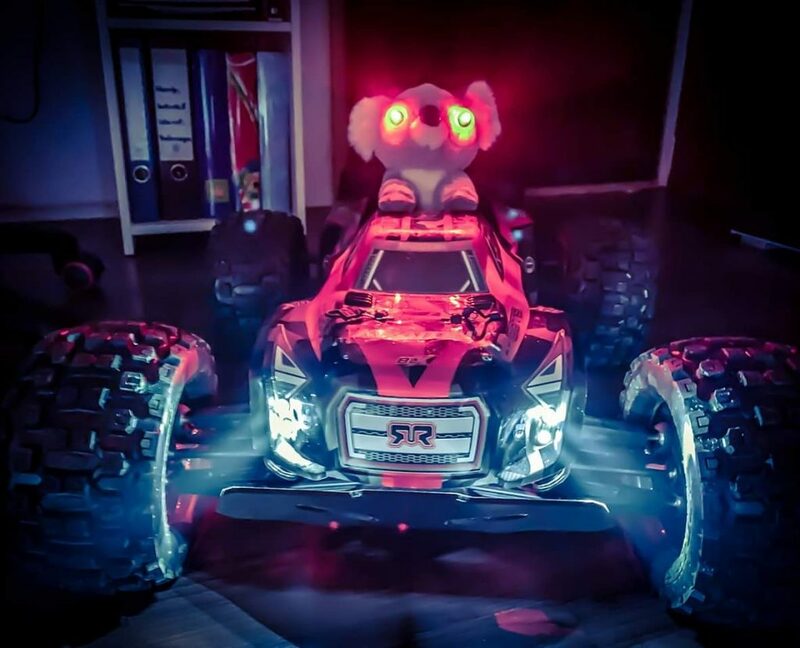 Global fans regularly favour front end photography, with a specific focus on low down compositions. 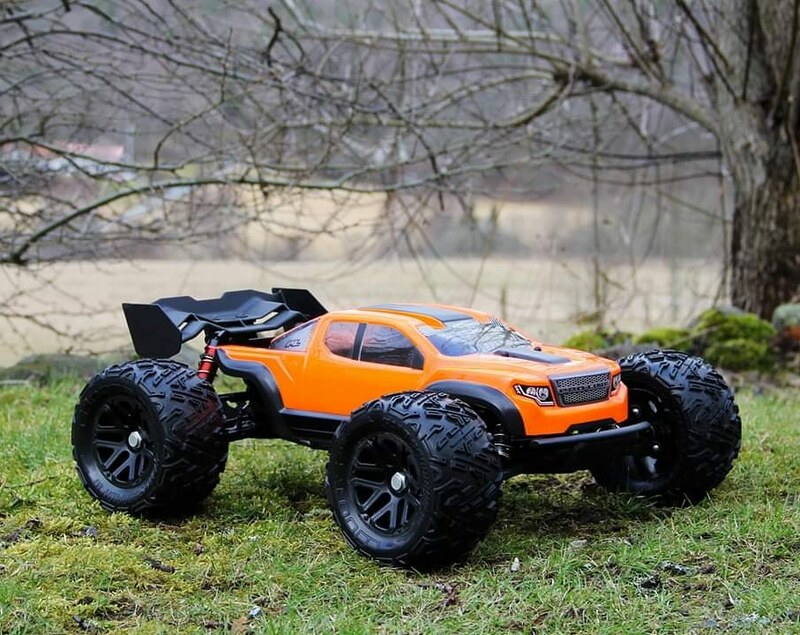 There is no doubt that these shots show off the mean looks and aggressive styling of ARRMA all-terrain ripping animals. 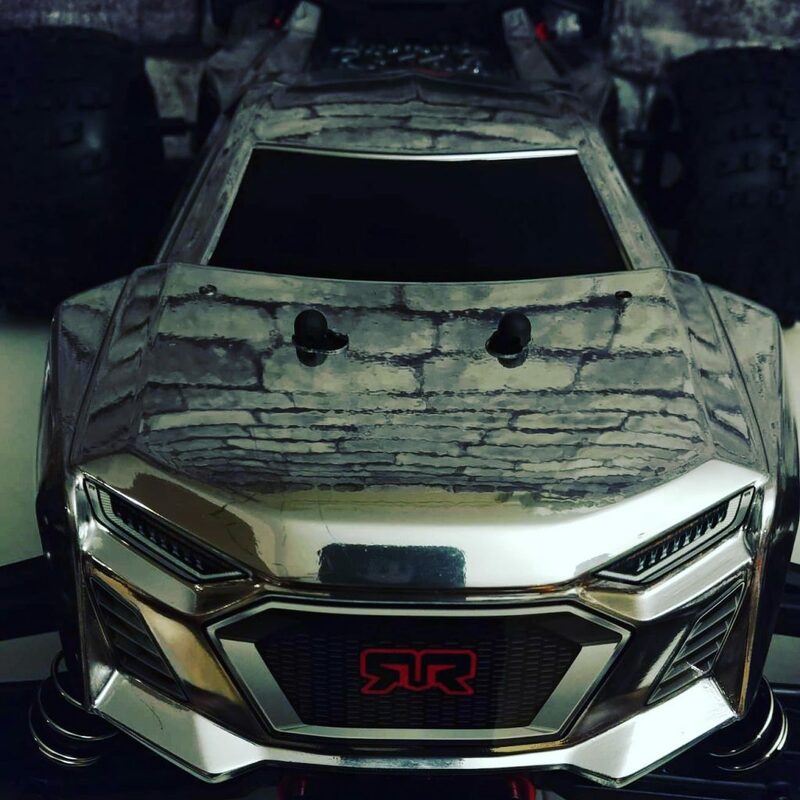 Check out this awesome collection of front end photography, with each image giving an uncompromising view of these evocative RC machines. 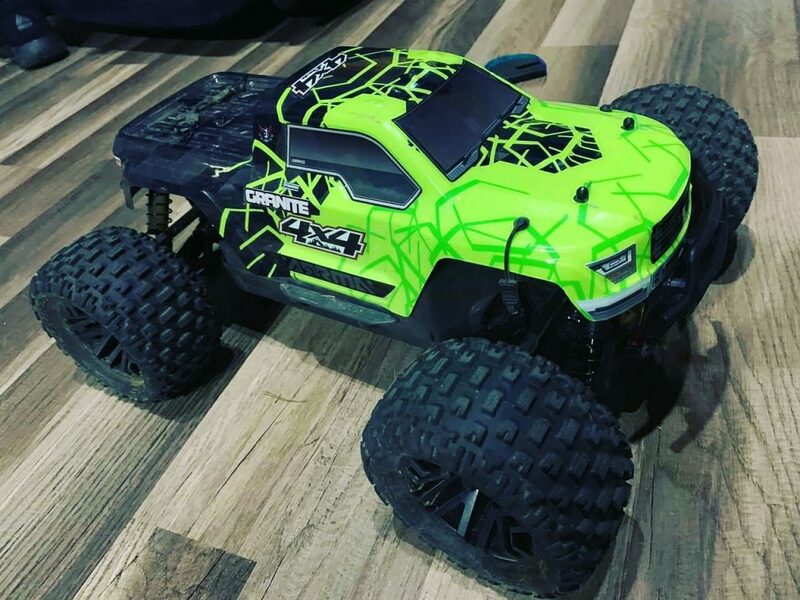 Next time you choose to grab a social media snap of your beloved ARRMA weapon, get front and centre for some epic results. 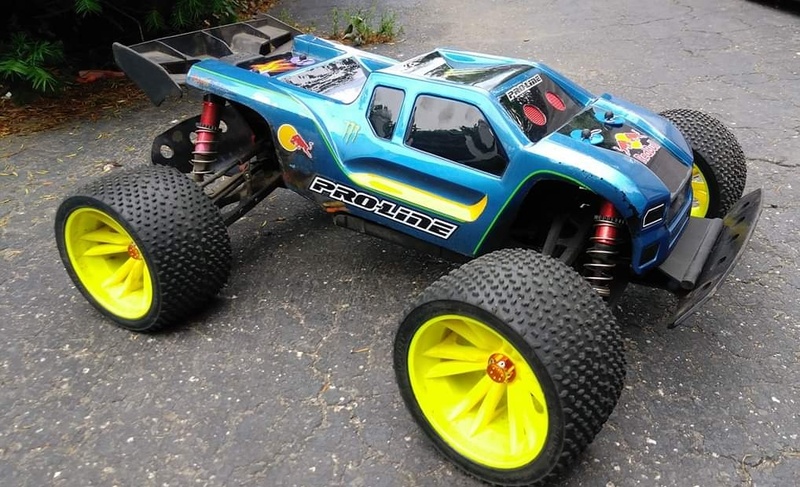 ARRMA fans demand strength and speed, no matter what bashing challenges they choose to attack. 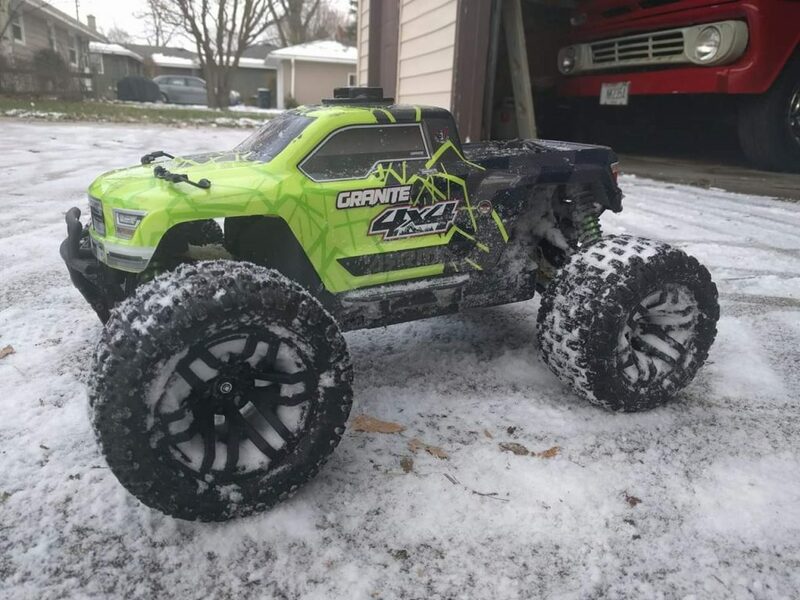 With a global following that grows week-on-week, the GRANITE 4×4 has taken the award-winning heritage DNA of the first edition 2WD GRANITE, then smacked a heap of awesome ARRMA 4WD enhancements on top. 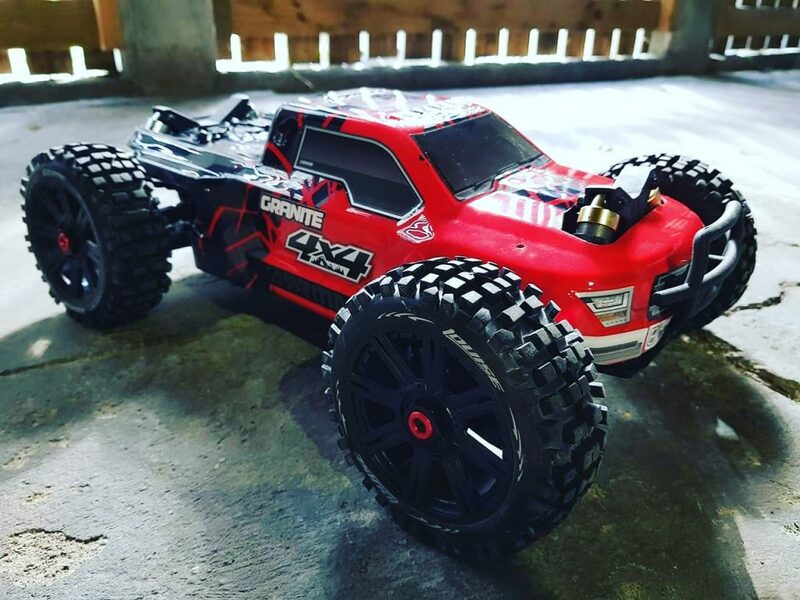 Fans of the GRANITE 4×4 platform enjoy the short wheelbase agility, teamed with the raw four-to-the-floor power delivery of this thoroughbred 1/10 blasting machine. 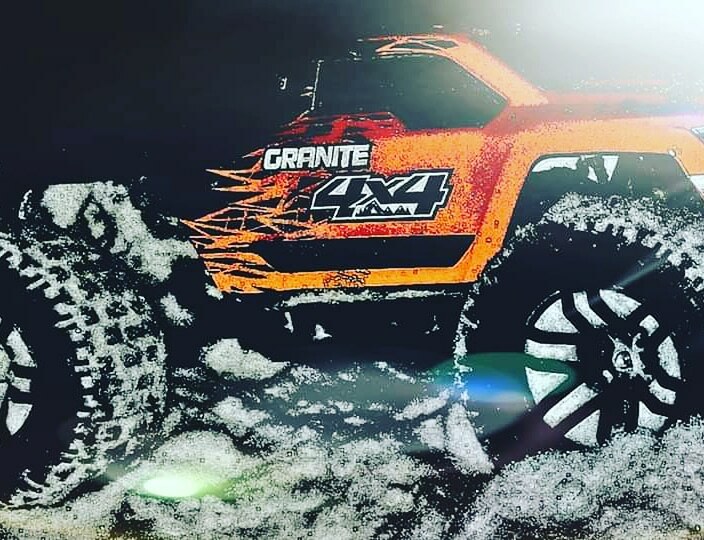 Available in two power variants, from the torque heavy brushed MEGA, to the speed thrashing 3S BLX brushless, the GRANITE 4×4 is one mean monster. 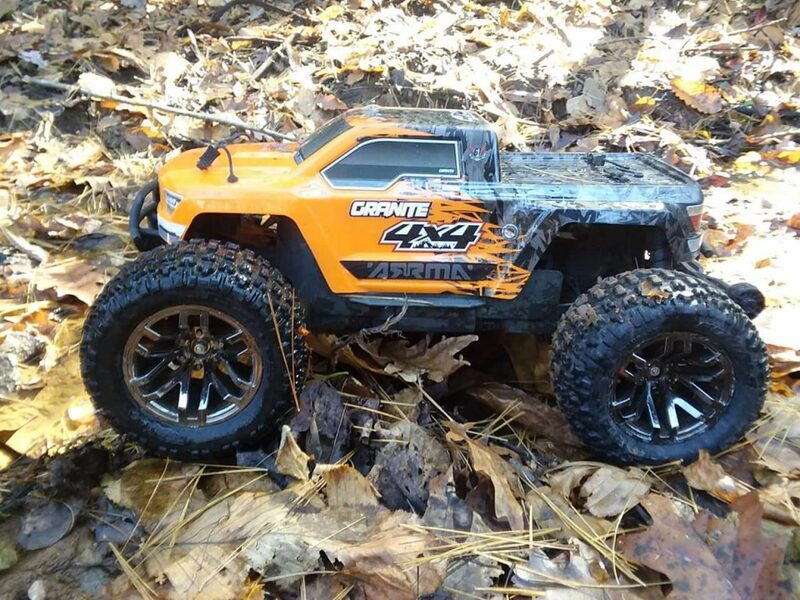 When it comes to backyard dirt ripping fun for all the family, the GRANITE 4×4 design is perfectly suited to younger bashing fanatics and seasoned experts alike. 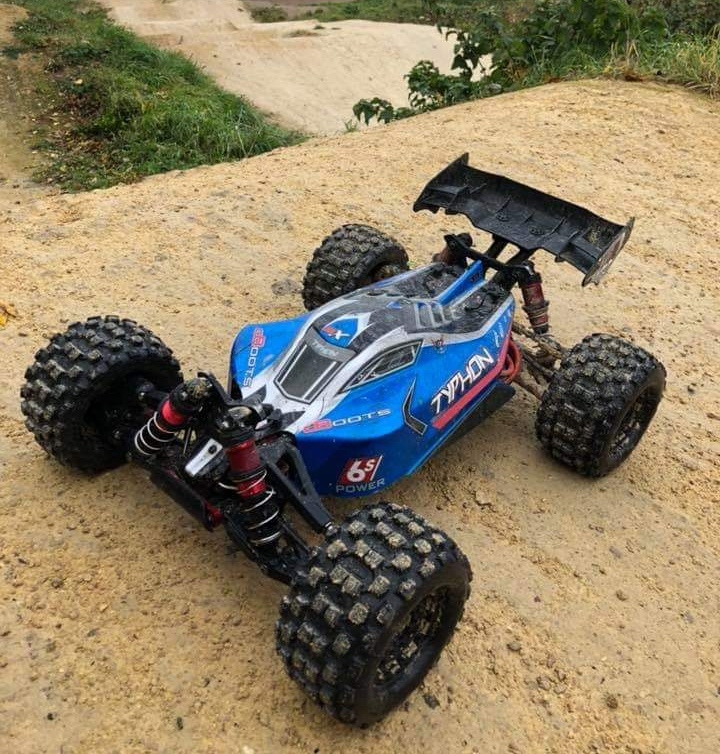 Shaft-driven four wheel drive, teamed with a perfectly balanced gear differential set up, allow for more throttle action than you could imagine was possible from such a compact vehicle. 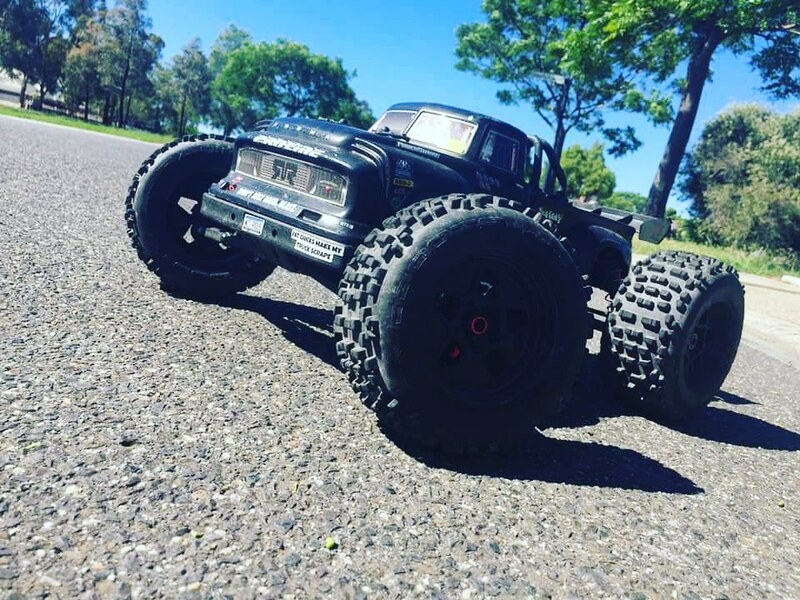 Chunky tyres and oil-filled shock absorbers allow the roughest terrain to be easily navigated, meaning you can throw down moves like a Monster Truck Pro, straight from the kit box. 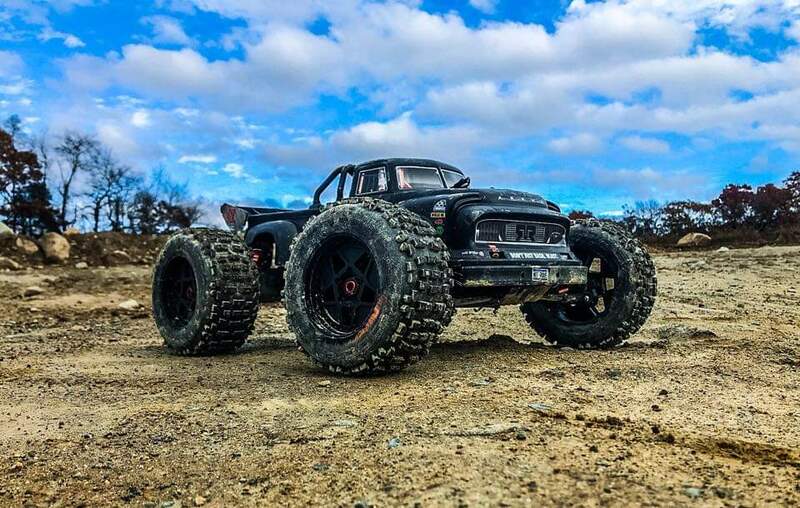 Check out these cool shots, which represent just a small sample of the GRANITE 4×4 owners crew. 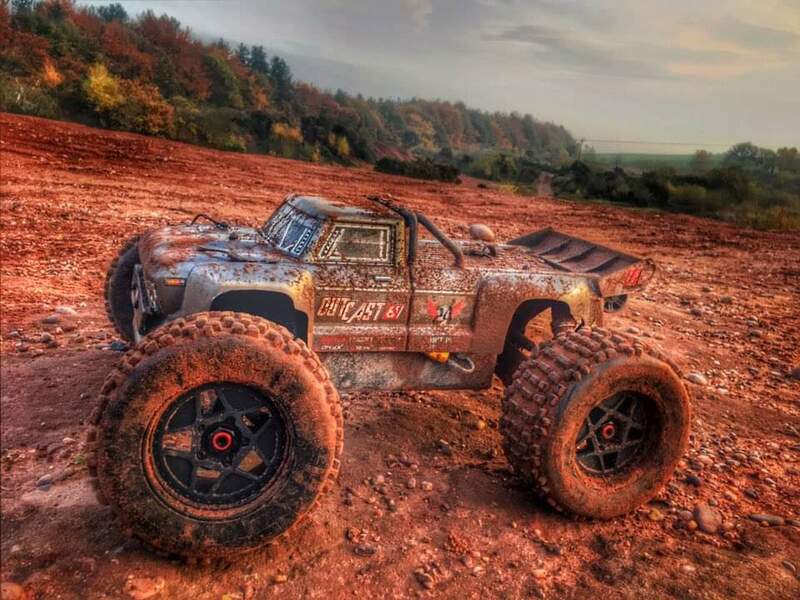 We can guarantee you will be already working out exactly what you can throw at this beast, giving you and the family a perfect opportunity to share more time together, whilst honing some GRANITE 4X4 blasting skills at the same time. 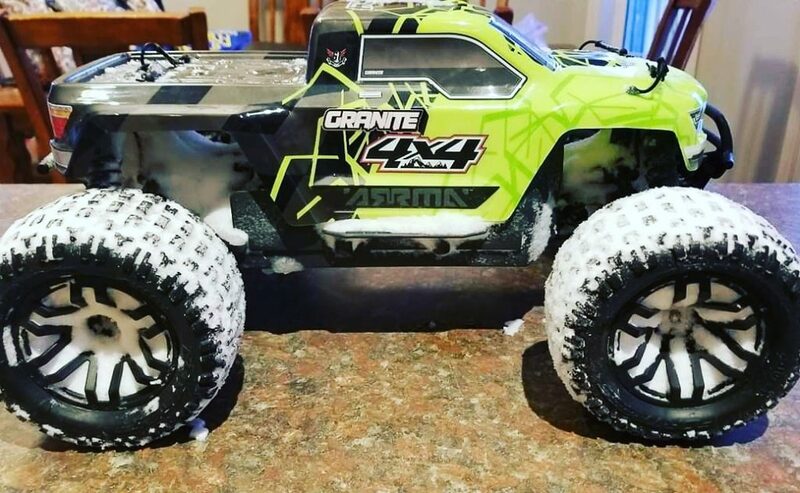 Learn why the GRANITE 4×4 needs to be added to your ARRMA garage now. 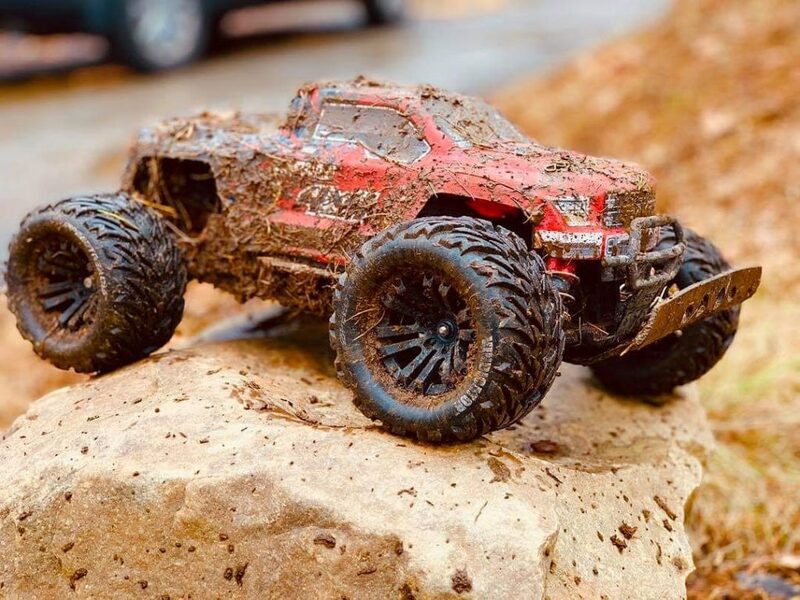 From the winding asphalt of the city streets, to the demanding dirt and mud of the local bashing spot, ARRMA owners know what it takes to look good, when the action is intense. 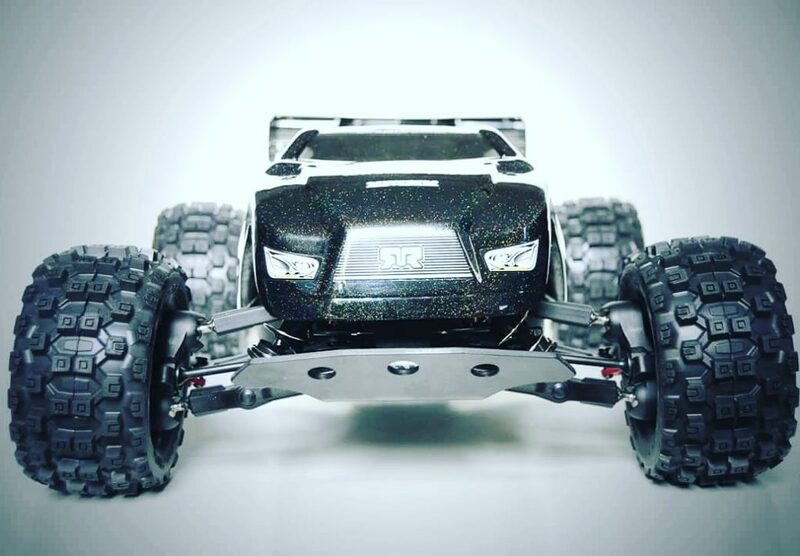 There is no better way to catch admiring looks than rocking a custom body shell on your ARRMA blasting beast, with a wide range of options available, which allow for some jaw-dropping results. 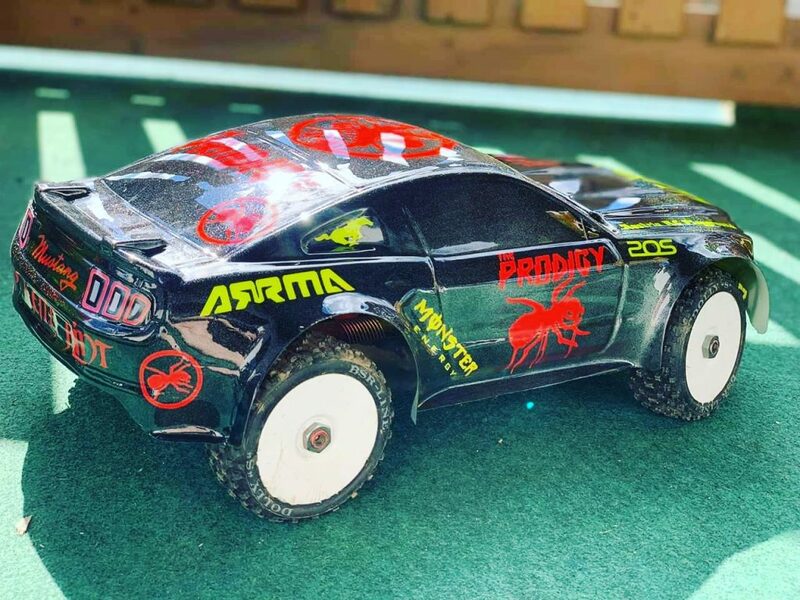 Whether you are looking to change the format of your ARRMA rig, from buggy to truck, or perhaps you are looking to win bragging rights for the coolest custom paint job, the lid is where the magic happens. 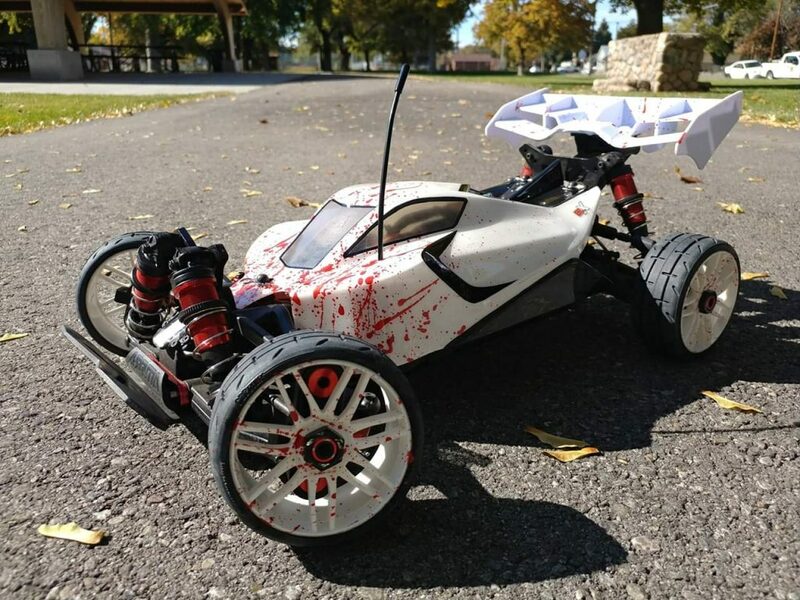 Check out this amazing collection of hand customized body shells below. 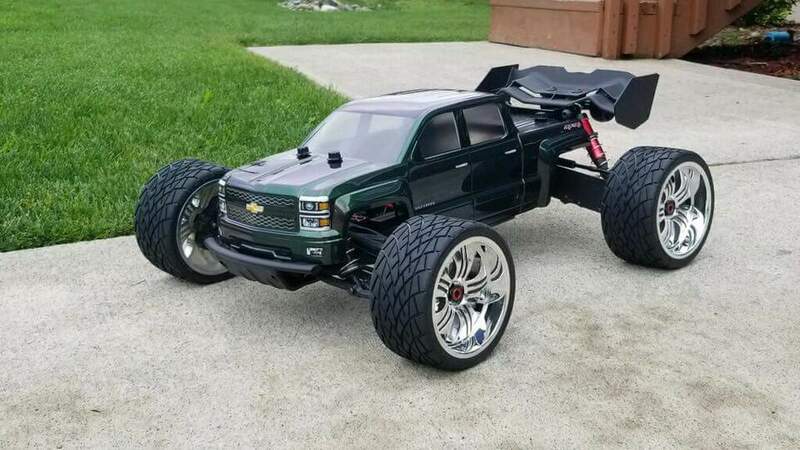 Unique, aggressive and guaranteed to make your social media posts stand out from the crowd from day one. 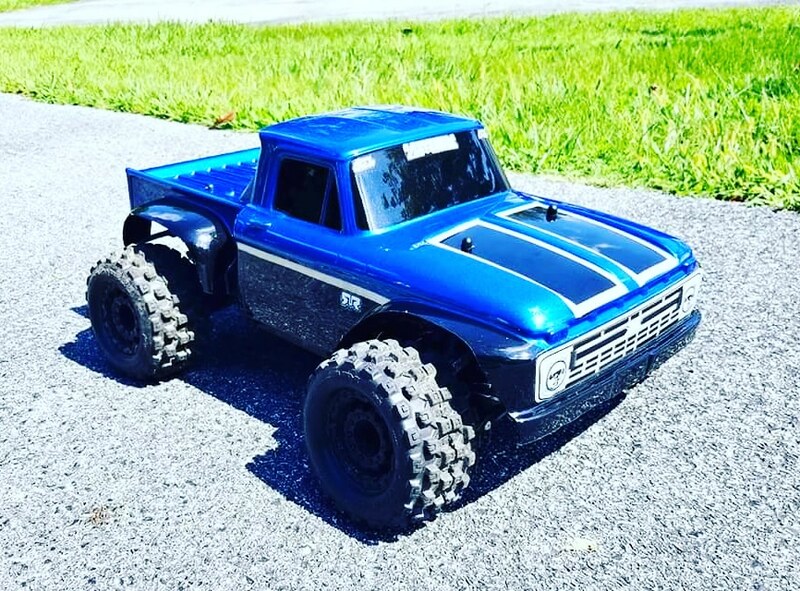 Are you looking to get your custom body shell noticed? Add the hashtag #ARRMAHOF to your social media posts and we will catapult you into internet stardom. 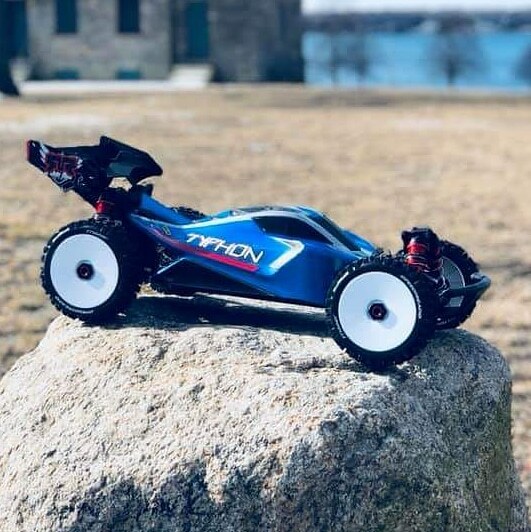 If you are on the hunt for multi-purpose blasting action, teamed with sleek and aggressive styling to turn heads, the TYPHON Speed Buggy oozes with raw ARRMA appeal. 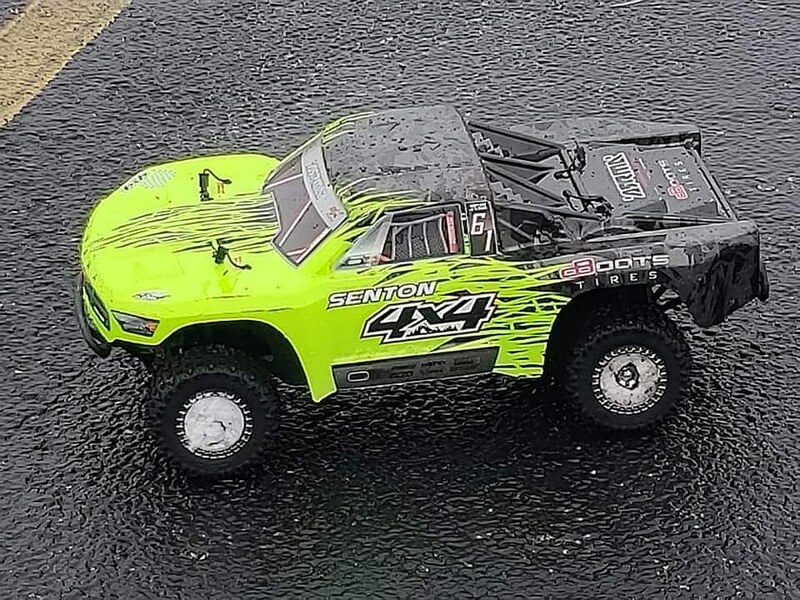 With so many ARRMA fans choosing the TYPHON, in either of our high power BLX brushless configurations, what better way to take a look into a range of purposeful and action focused ripping machines than a cool gallery of owner photos? 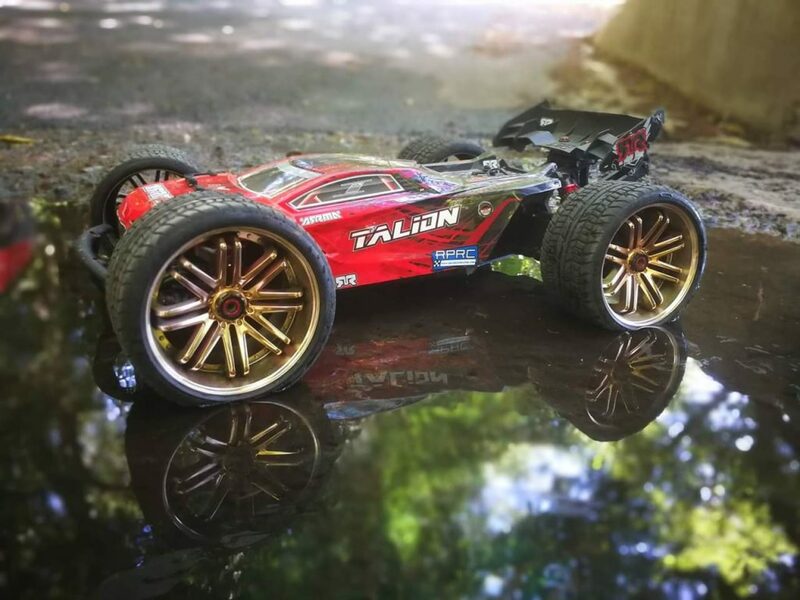 Check out how awesome this collection of heavily customized TYPHON bashing beasts looks. 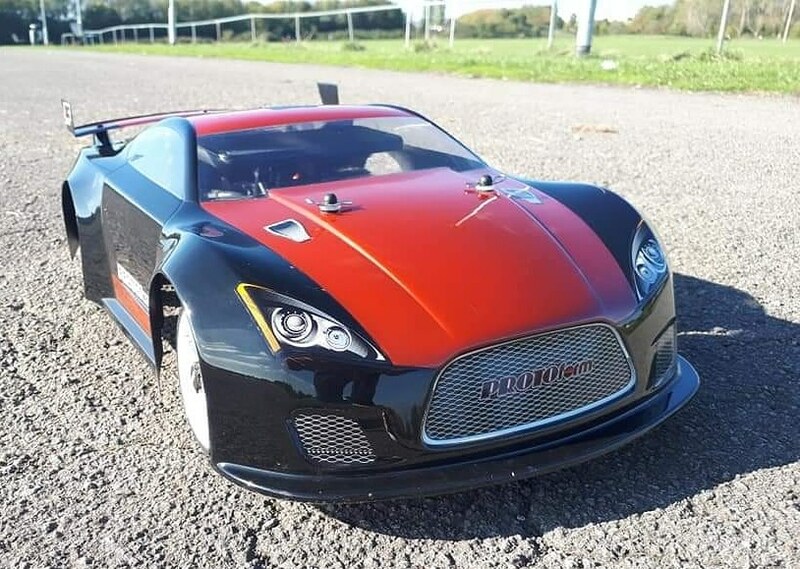 We are always amazing by just how bespoke some of these products can be made, when it comes to battling for unique looks and even more advanced performance, the TYPHON platform provides huge potential. 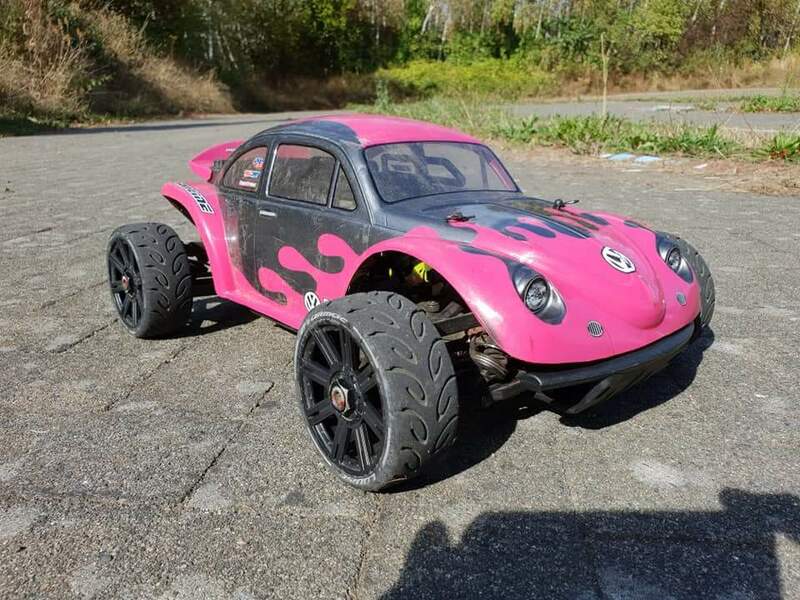 Are you ready to unlock this thoroughbred Speed Buggy animal? 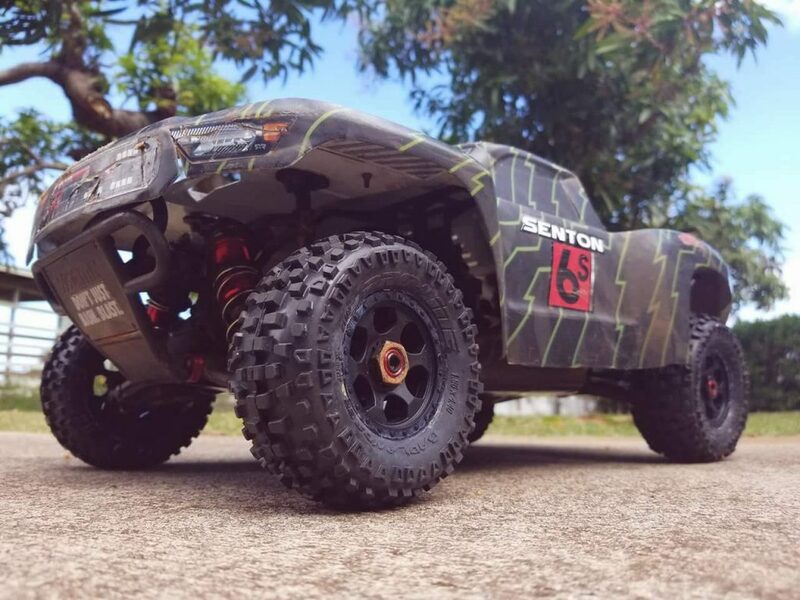 If you want to attack your local bashing spot and know you will be equipped with epic ARRMA handling and rugged all-terrain strength, you need to pilot a SENTON. 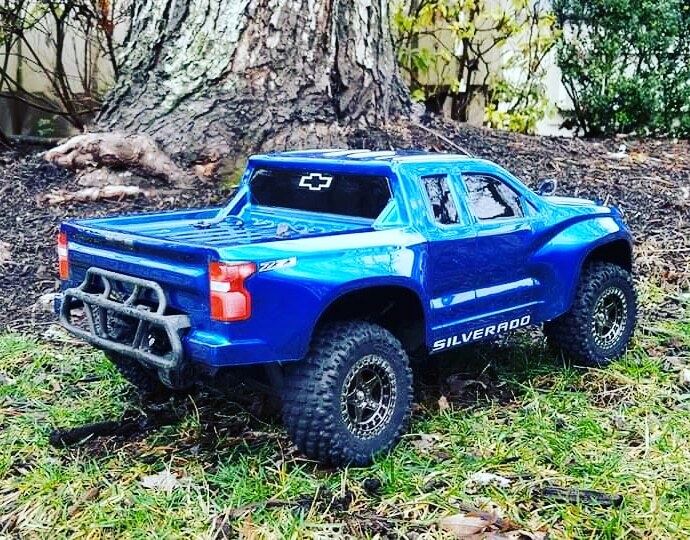 Designed from the ground up to provide thrill seeking RC fans with the ultimate Short Course Truck experience, choosing either our 6S LiPo powered beast, or our 3S LiPo powered animal, will put you in control of breakneck brushless speed and dirt-thrashing 4×4 performance, straight from the kit box. 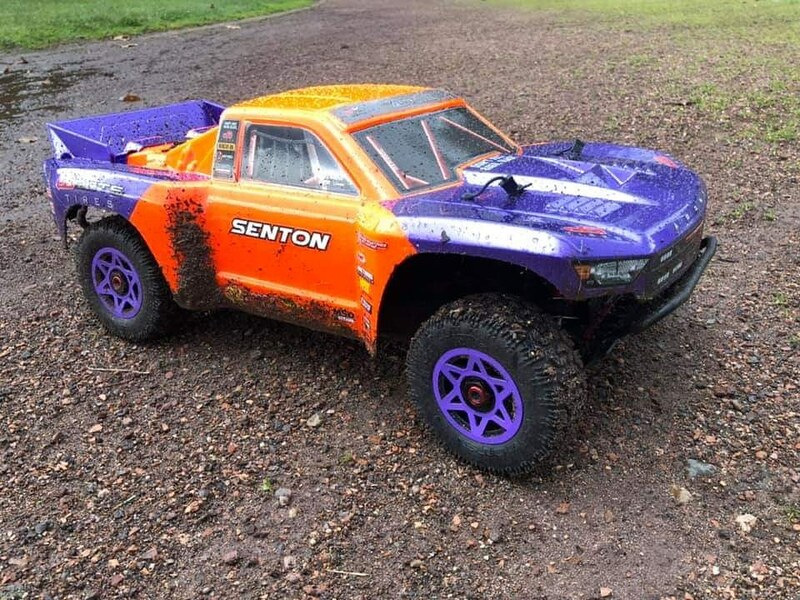 The SENTON platform, in both exciting power configurations, is equipped with a host of precision manufactured features, allowing you to punch the throttle and aim high at every challenge, safe in the knowledge that you are in control of a thoroughbred blasting machine. 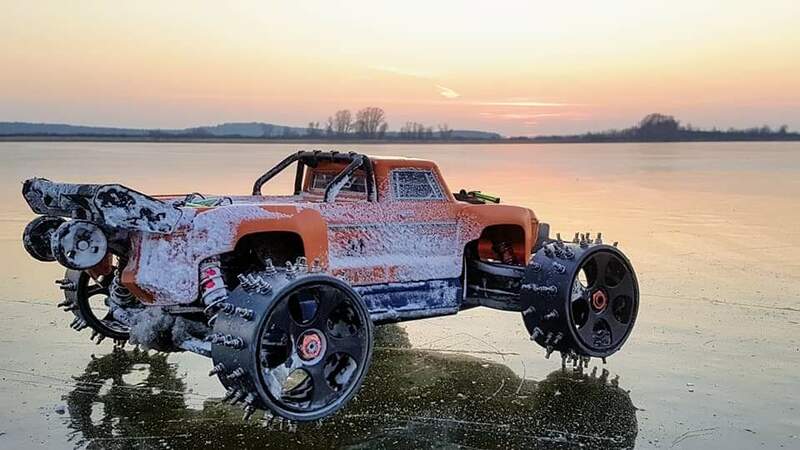 When other trucks shudder at the prospect of extreme conditions, the SENTON laughs in the face of every elemental challenge. 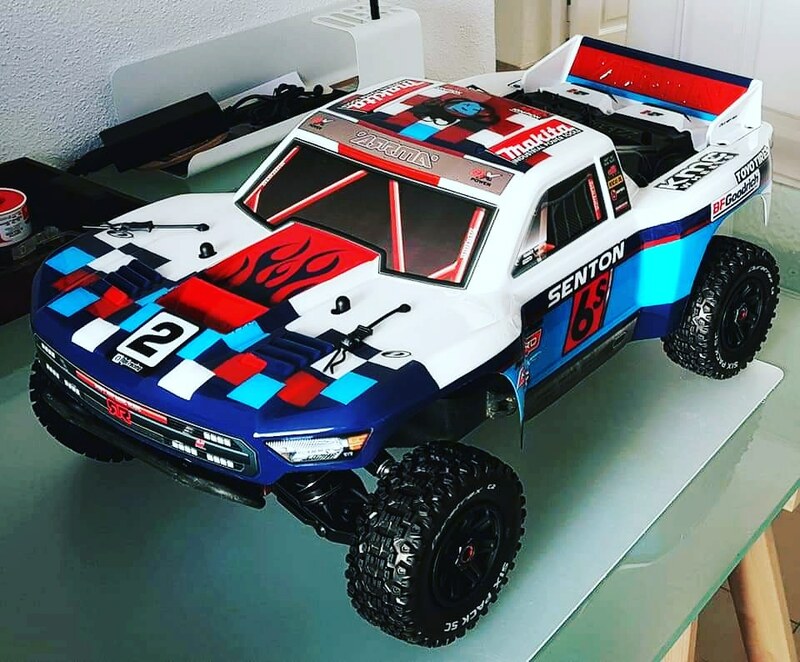 Shipped with waterproof electronics as standard, you can focus on ripping up the spot and the SENTON will take care of the rest. 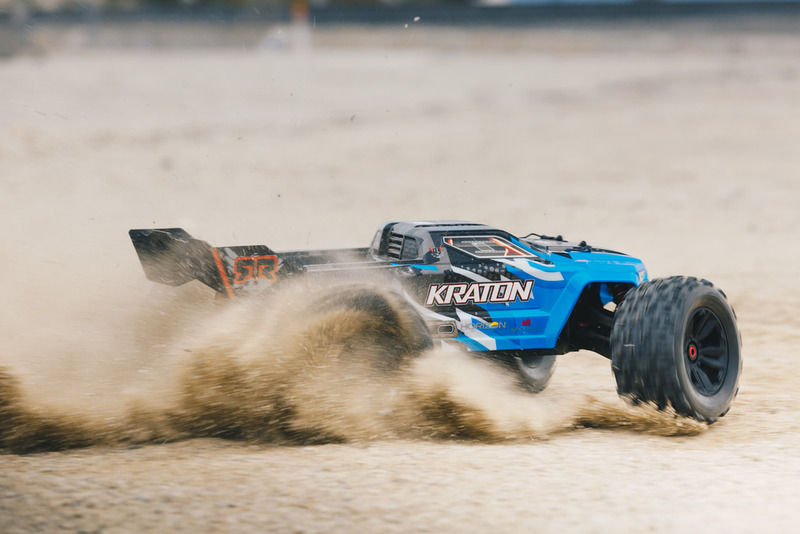 To learn more about why thousands of bashing addicts choose the ARRMA SENTON platform, go and learn more now by enjoying some pulse-racing ARRMA TV action footage. 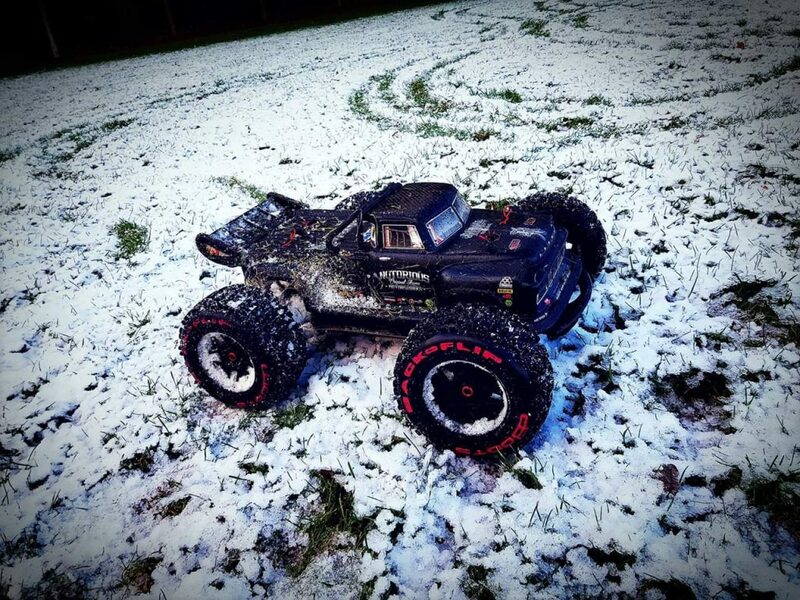 When the cold conditions take hold, there is only way way to attack the bash spot and come back as a winner. 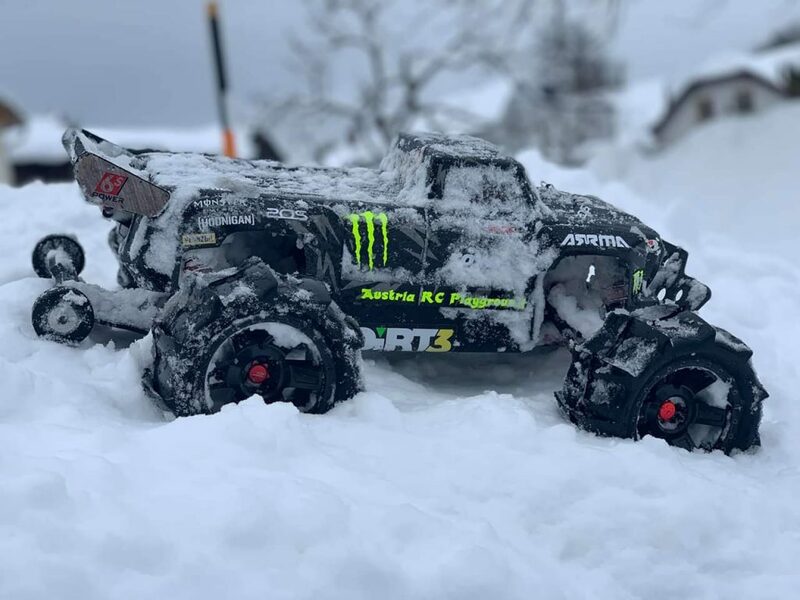 Built for the most extreme conditions that Mother Nature can conjure up, when you pilot one of our precision manufactured terrain rippers, you are in charge of a true all-weather animal. 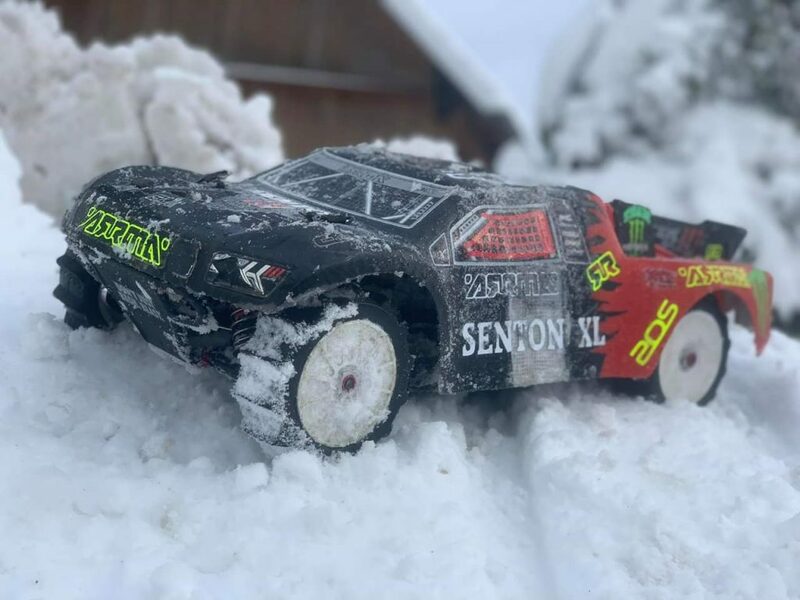 Snow, ice, sleet and rain may try and stop the bashing party, but, this awesome winter gallery of epic ARRMA owner images proves one thing. 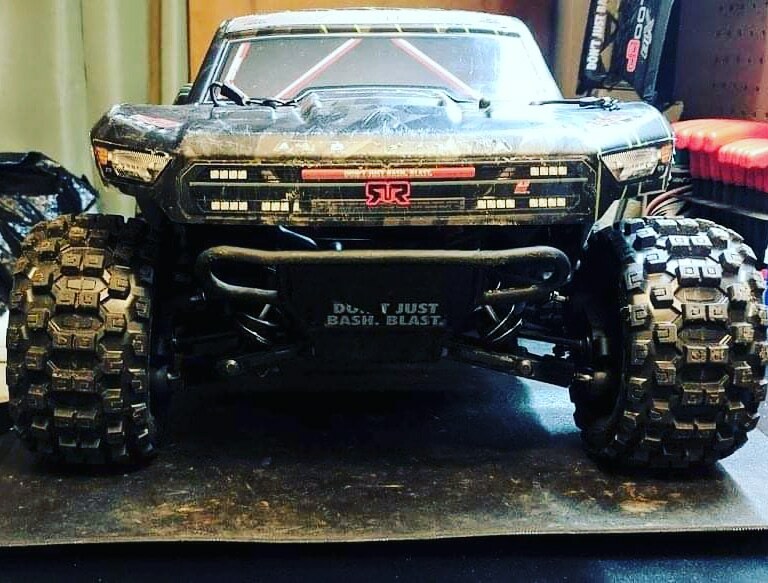 ARRMA rigs are ready for the battlefield, straight from the kit box. 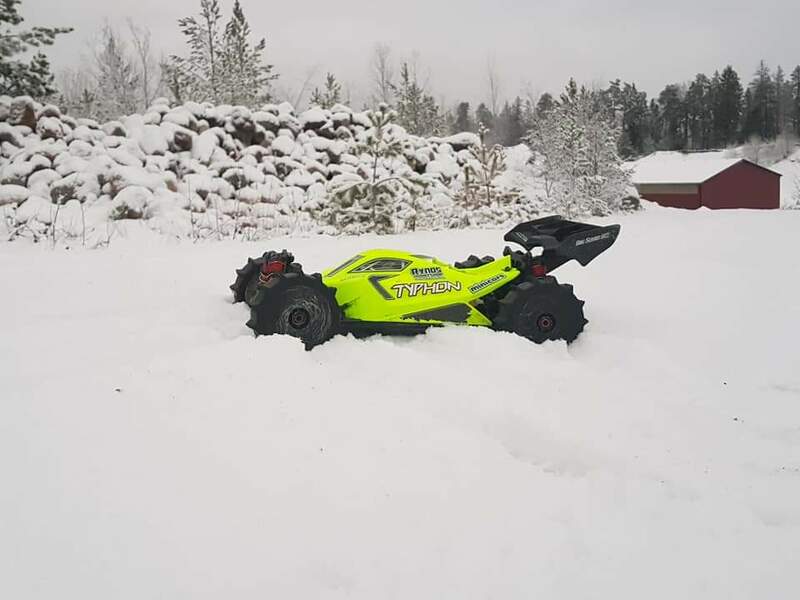 Enjoy these cold weather photos and get ready to plan your next winter bashing session. 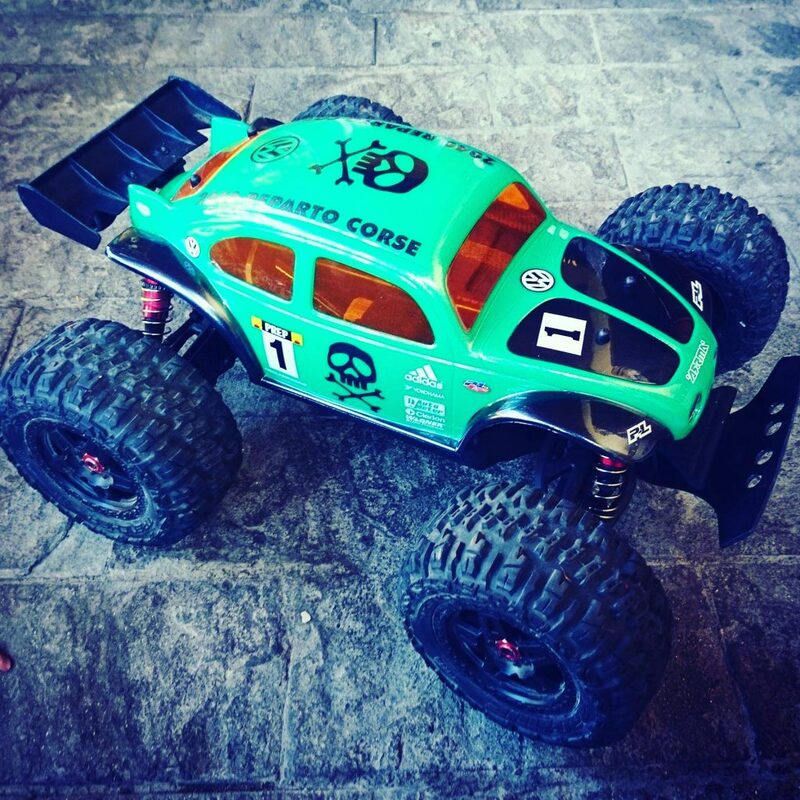 You can always stay in control with ARRMA designed handling. 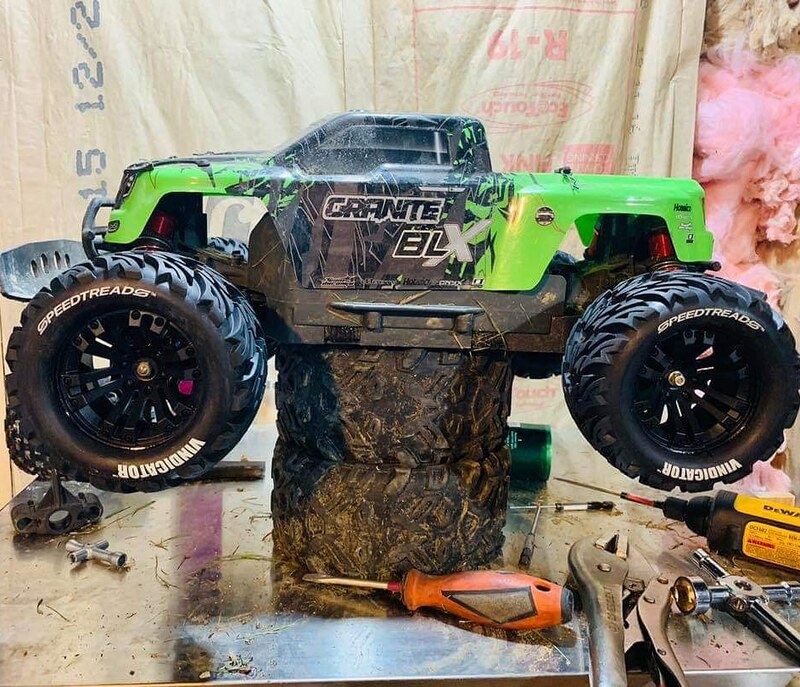 ARRMA blasting machines look awesome from every angle, but, one thing is certain, testing your camera skills by taking your next shot from a lower angle, will really boost the aggressive looks of your social media posts. 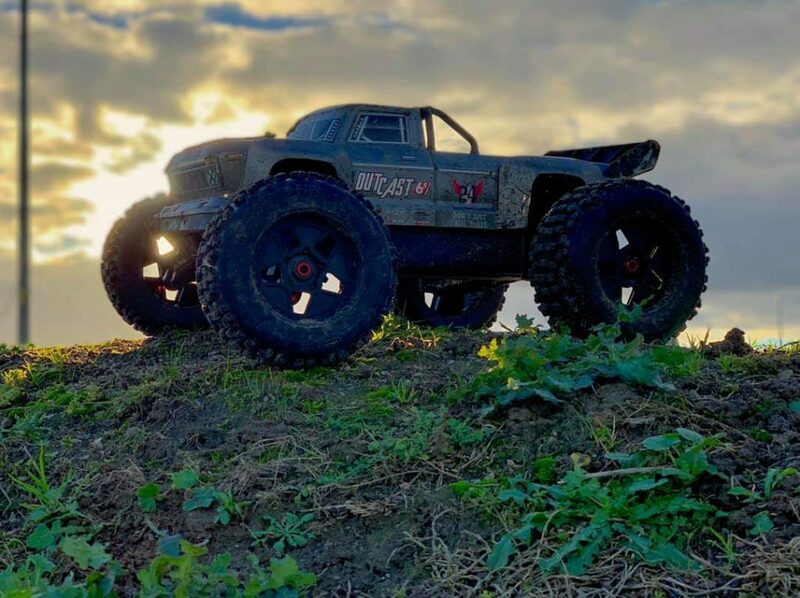 Check out this awesome selection of low down and mean ARRMA fan photos, all captured from closer to the ground than most blasting fans would attempt. 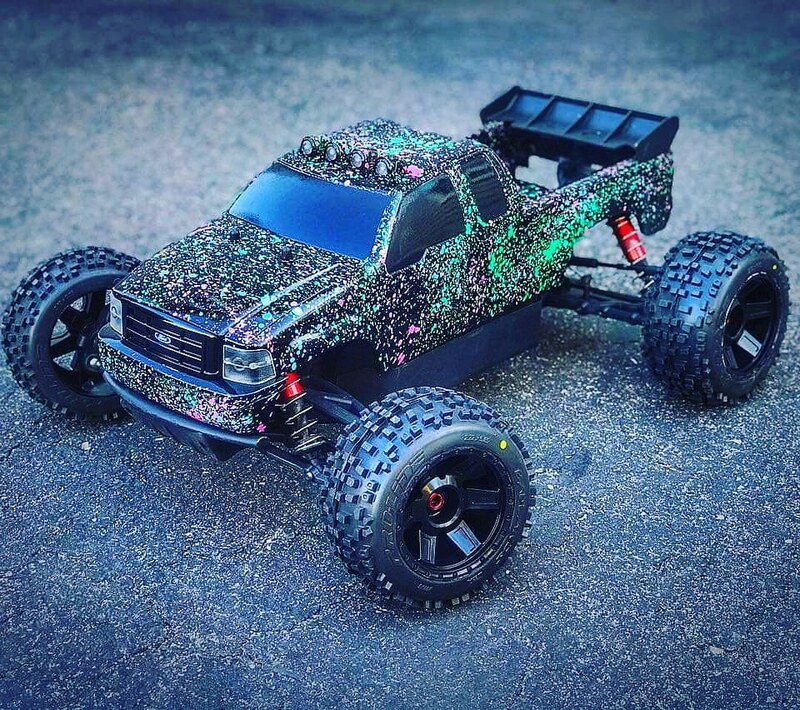 You will surely agree with us, these are wonderful examples of just how beasty you can make your next Instagram or Facebook post look. 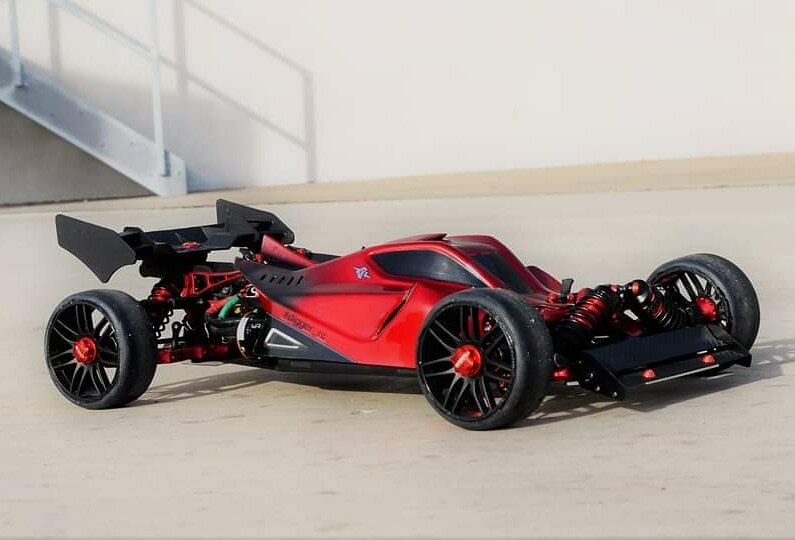 Hitting the streets in style is enhanced even more when you get down at the same level as your ARRMA thrashing weapon. 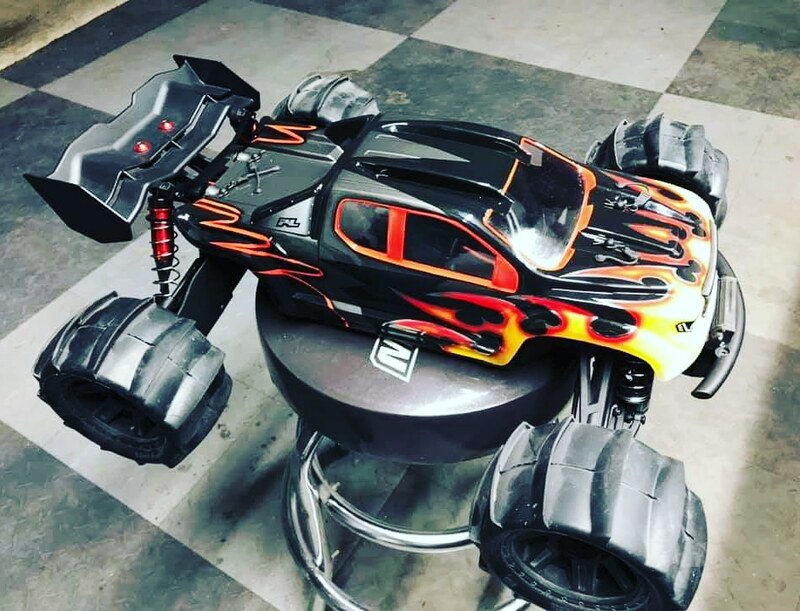 If you are successful in creating enough drama with your ARRMA social media posts, you are sure to get noticed easily. 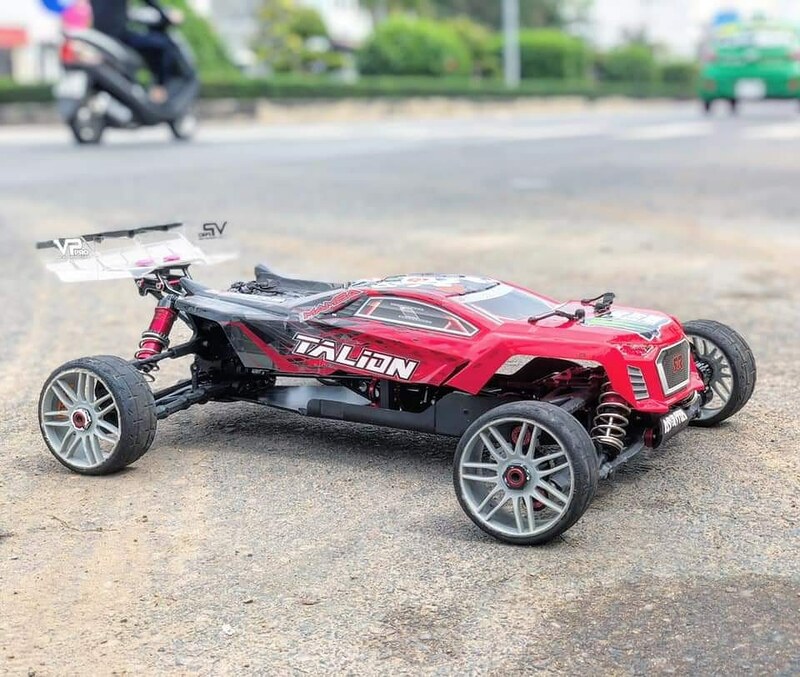 No matter if you choose to thrash in the streets, or blast across the beach, showing off the environment in each low down photo will really enhance the finished result. 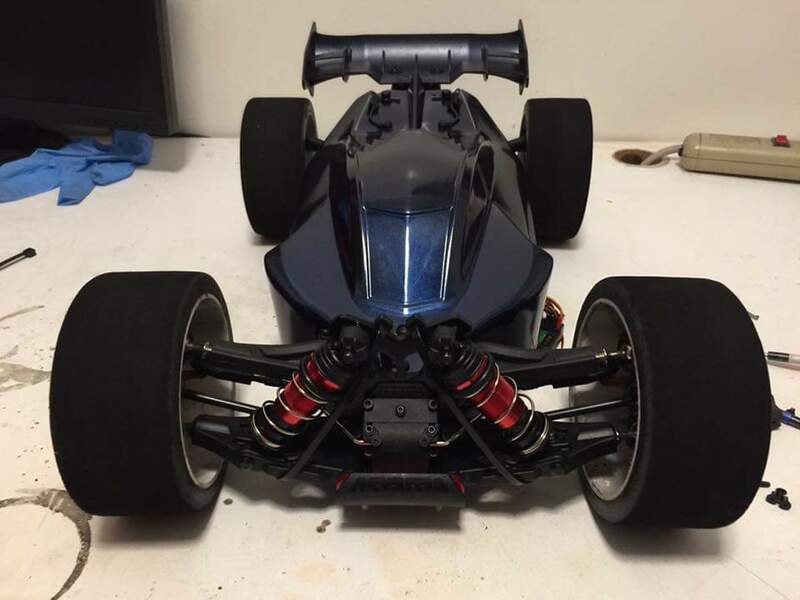 The lower you get, the meaner they look. 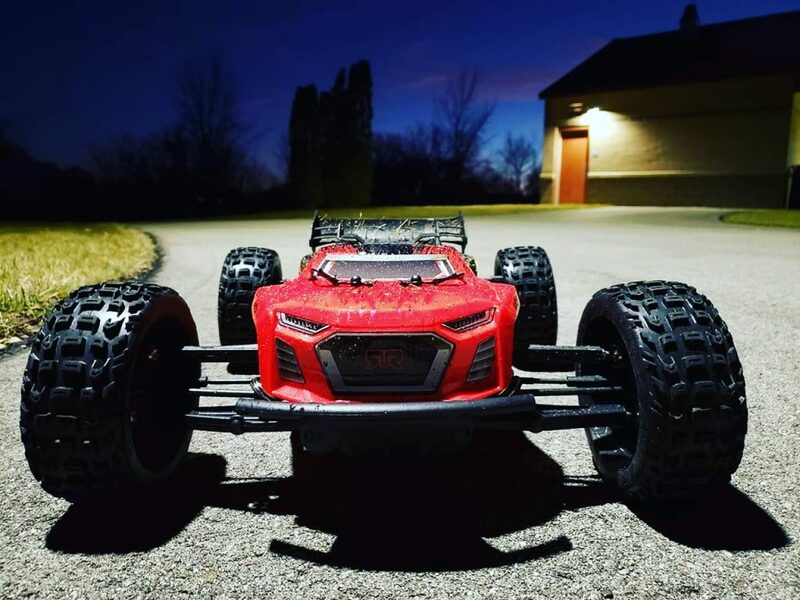 You can easily trick viewers into seeing awesome real world details, making your ARRMA beast look super aggressive in every shot. 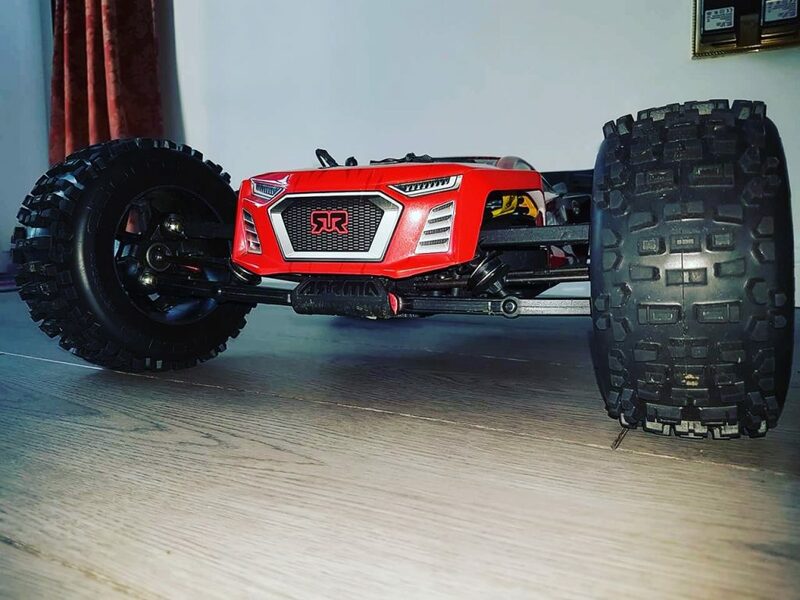 You can achieve some really amazing results from a lower angle when capturing your pride and joy, often capturing details you would normally miss from a higher point of view. 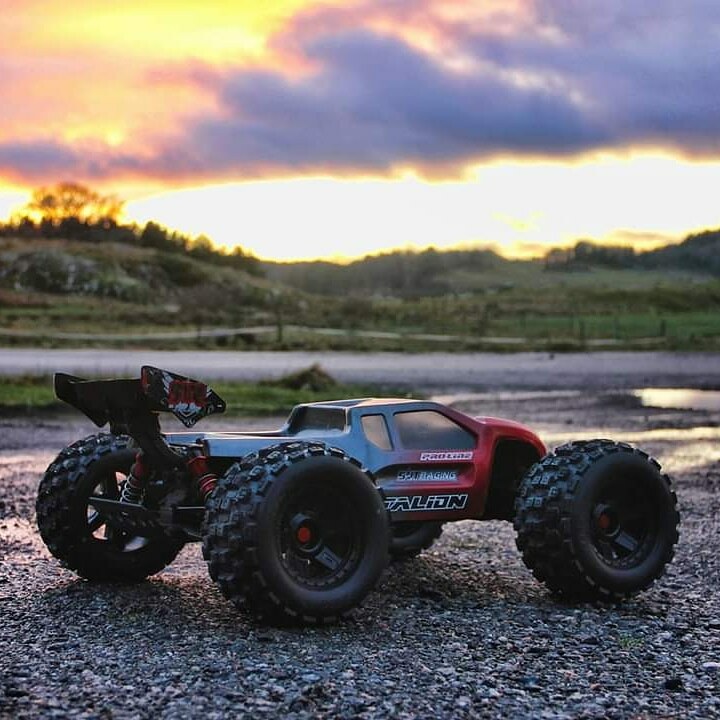 Don’t be afraid to get close to the action to test out lower photography angles. 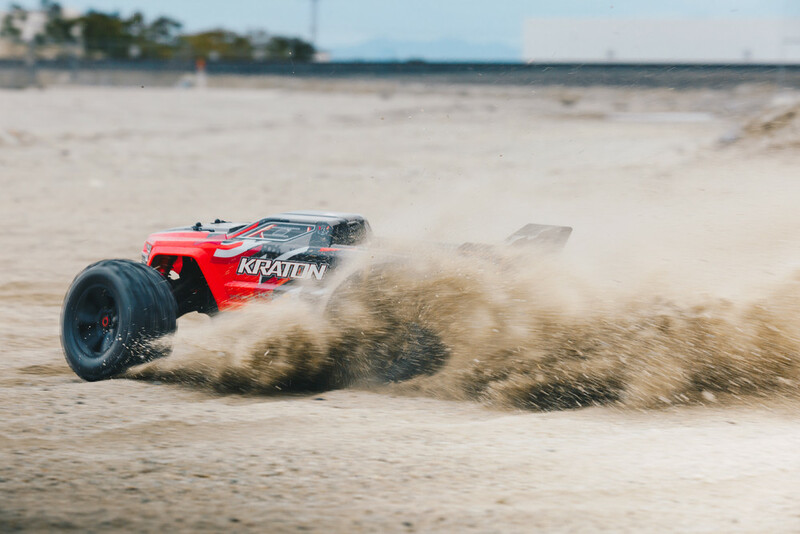 You will not be disappointed when you capture epic ARRMA dirt ripping action. The holiday season is swiftly approaching. That means one thing. 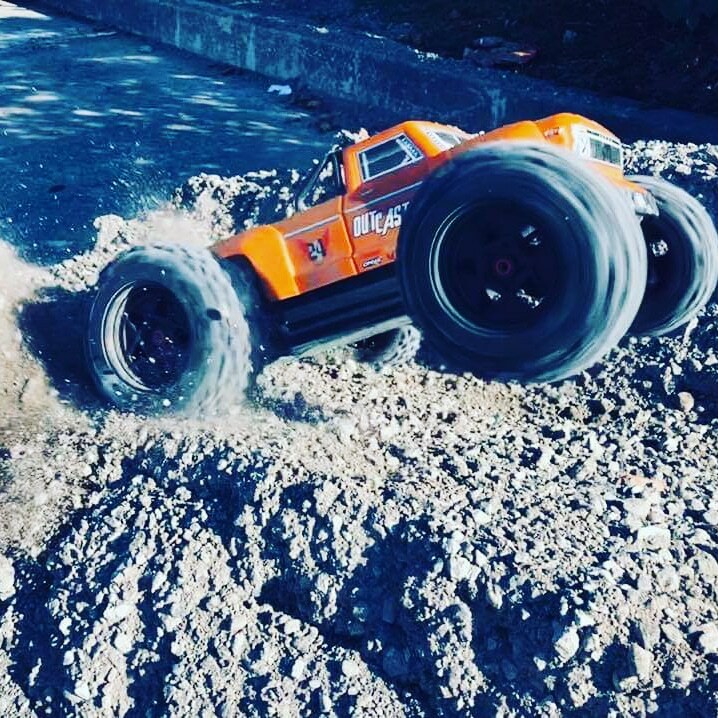 The ARRMA blasting community are out in force to thrash and bash their way to extreme RC notoriety. 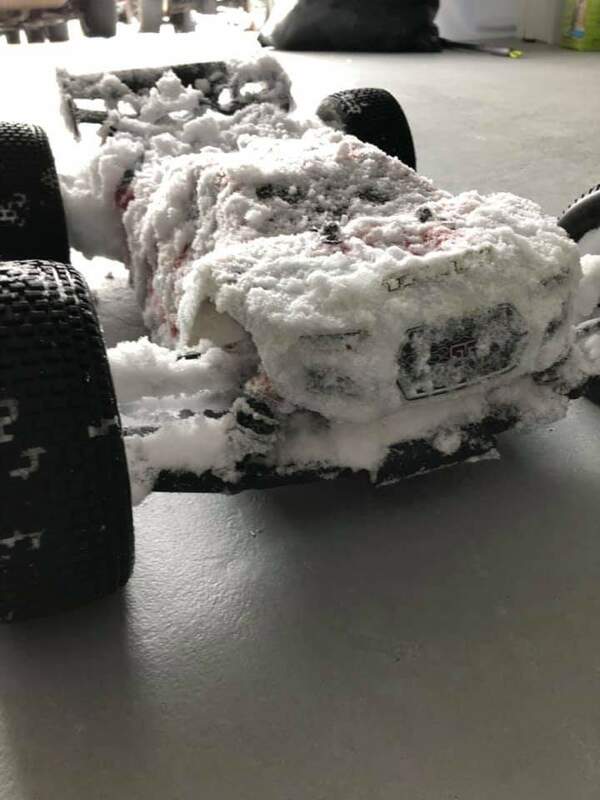 With the weather conditions in the northern hemisphere becoming colder, whilst ARRMA fans in more southerly climbs are gearing up for the humidity of high summer, the holiday season is prime blasting time. What better way for us all to get pumped with holiday excitement than a wonderful pictorial tour of the pre-holiday fun? 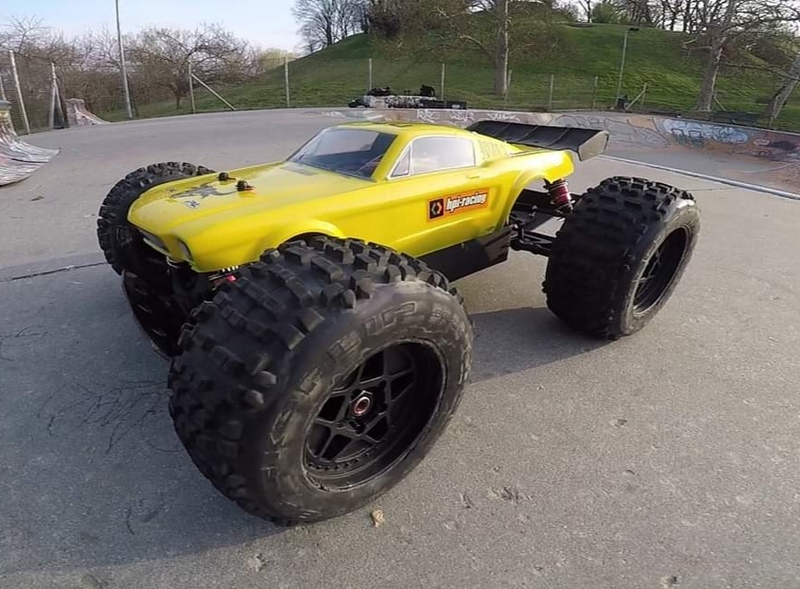 Take a few moments to check out some of these bad boys folks. 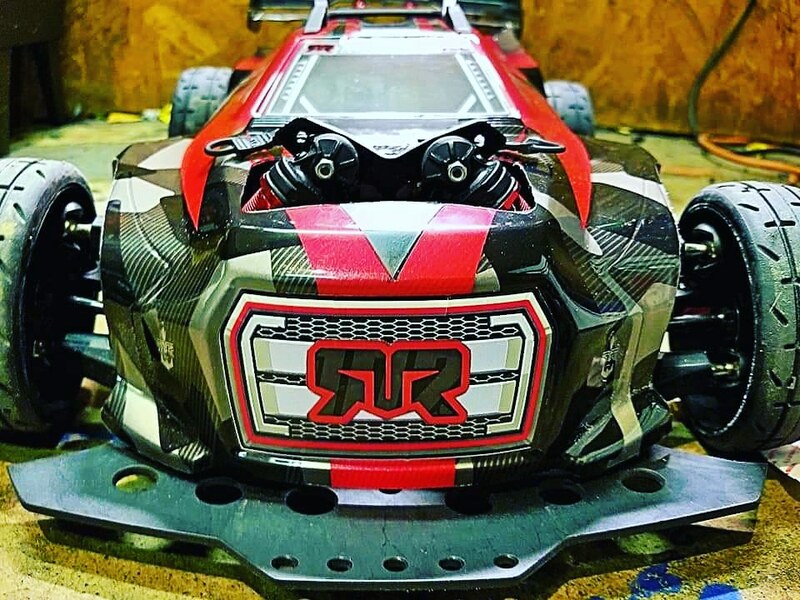 Custom NOTORIOUS 6S plates anyone? 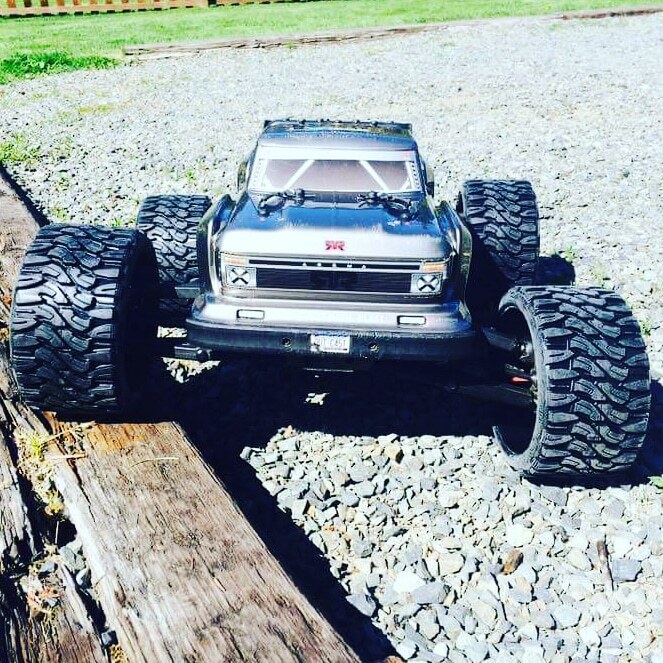 We are always excited to see how ARRMA fans are enjoying our creations. 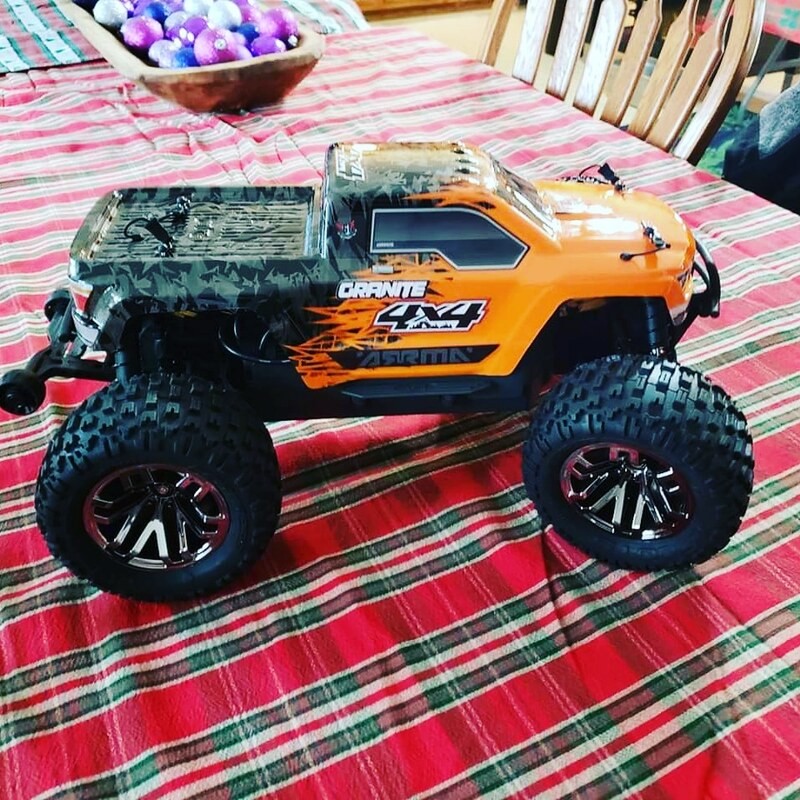 With the holiday season bringing together friends and family for fun and relaxation, there has never been a better time to jump on social media and share your ARRMA action shots and video footage. 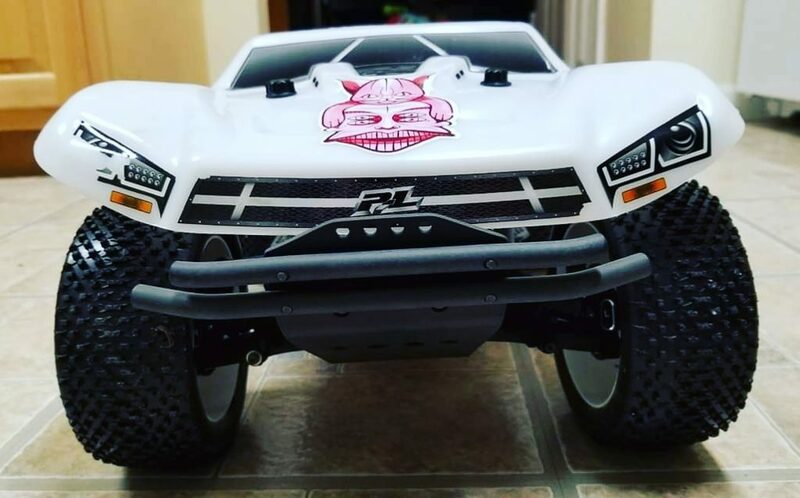 Join the ARRMA smack down squad this Christmas. 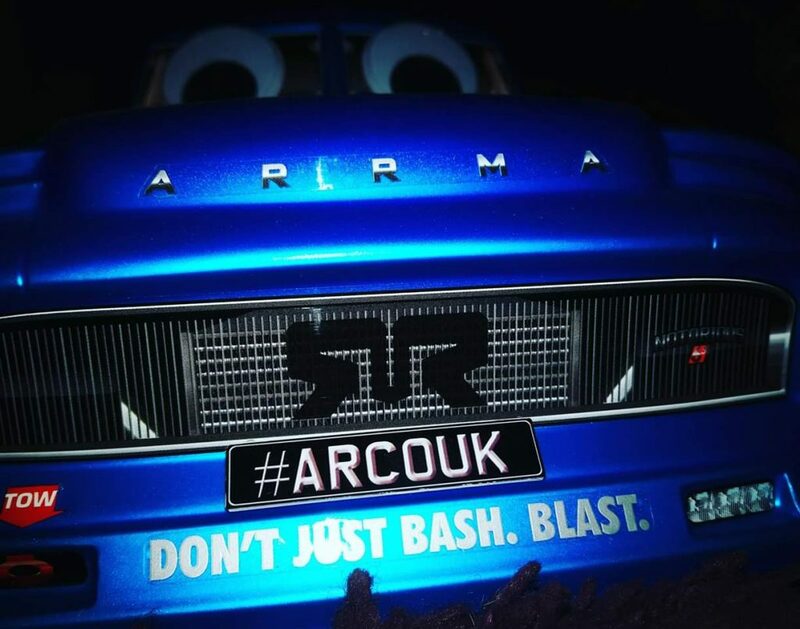 Get noticed easily online // add #ARRMAHOF to your social media posts and we will do the rest folks. 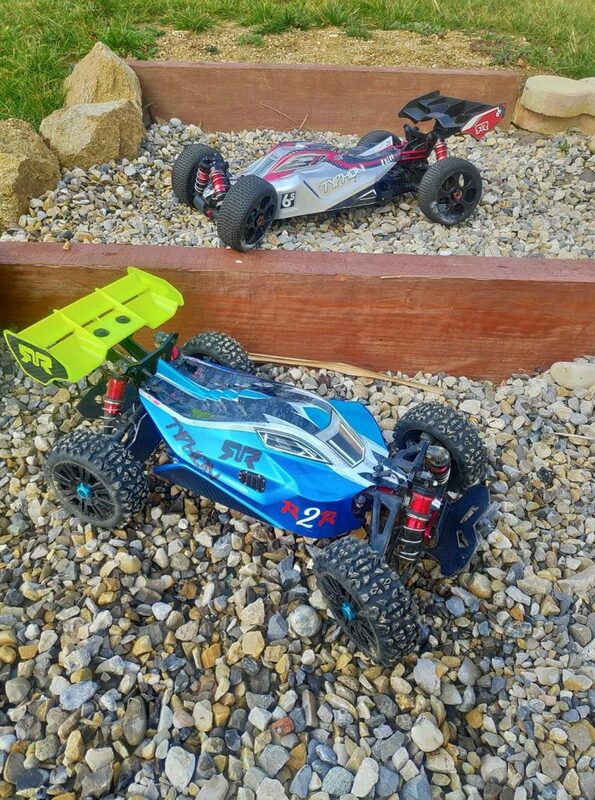 Street and parking lot blasting action has become a major part of the ARRMA bashing culture. 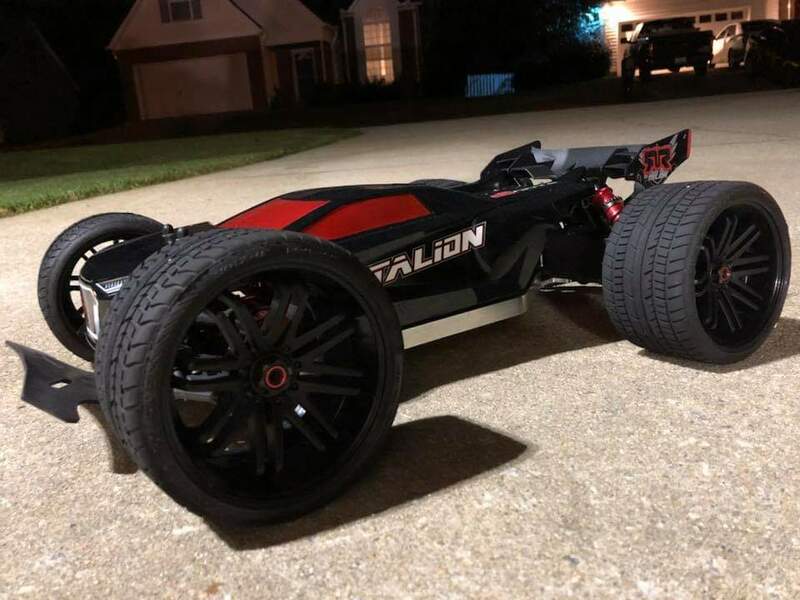 With thousands of dedicated speed run fans hitting the asphalt every week, it’s time to take a look at the beautiful creations they choose to deploy, when all-out speed is the main agenda. 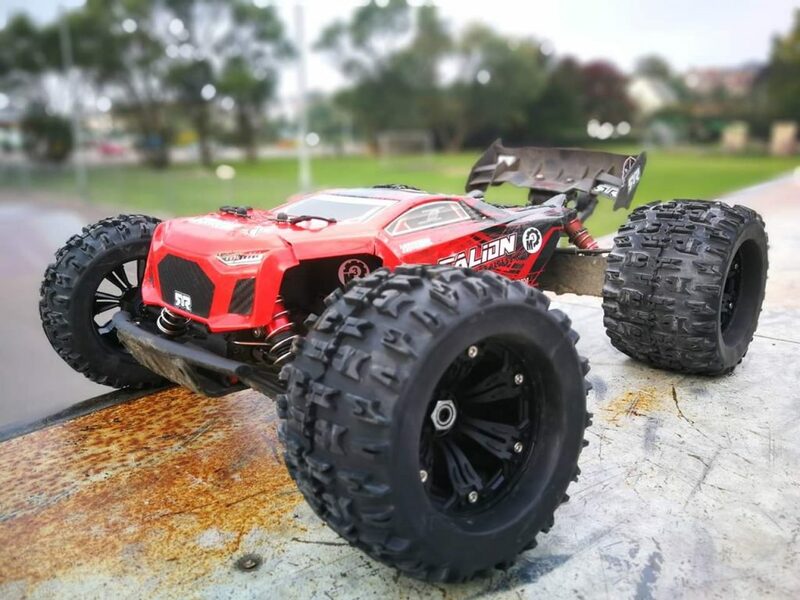 Low-profile street-ready wheels and tires are a popular optional addition, when smooth bashing surfaces are the chosen playground. 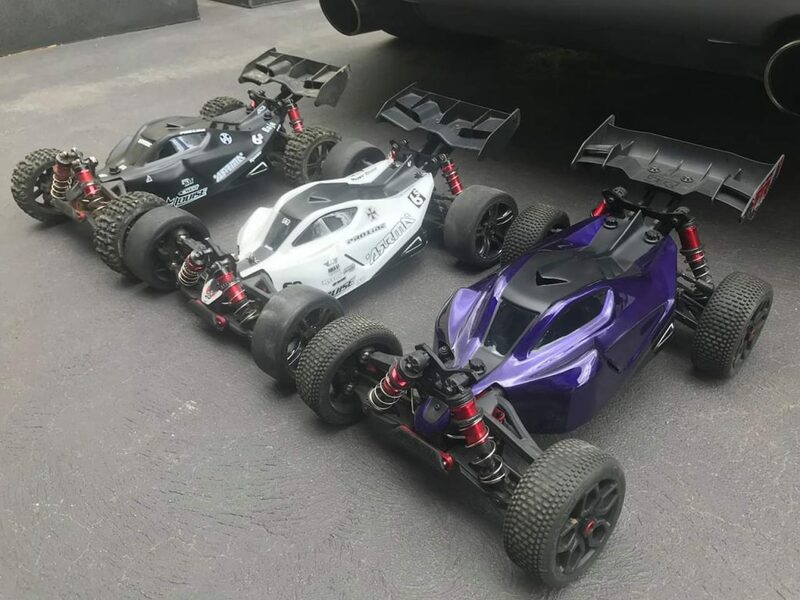 The TYPHON 6S and TALION 6S are popular choices, with stealthy black body shell paint being a great look, when ARRMA owners want to stay under the radar during street blasting sessions. 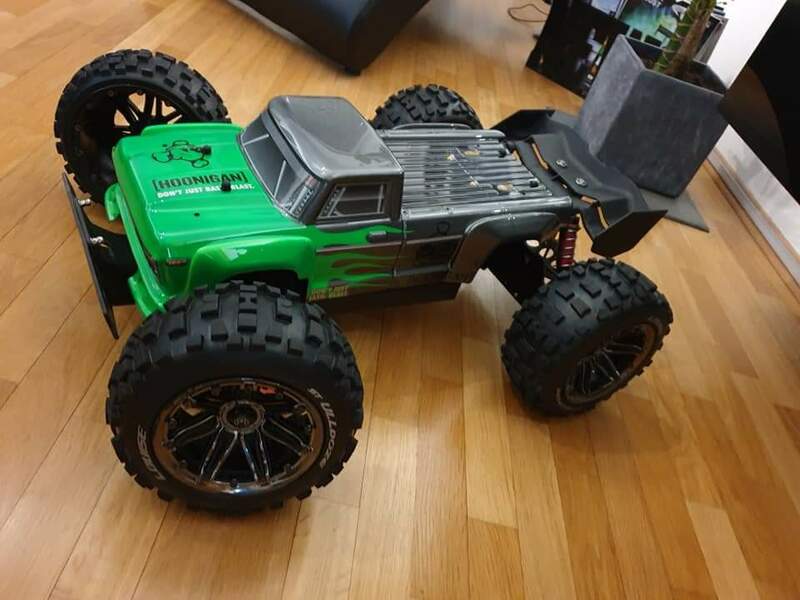 ARRMA fans know that just because the surface may be flat during high speed concrete sessions, it doesn’t mean that the standard specification waterproof electronics are not required. 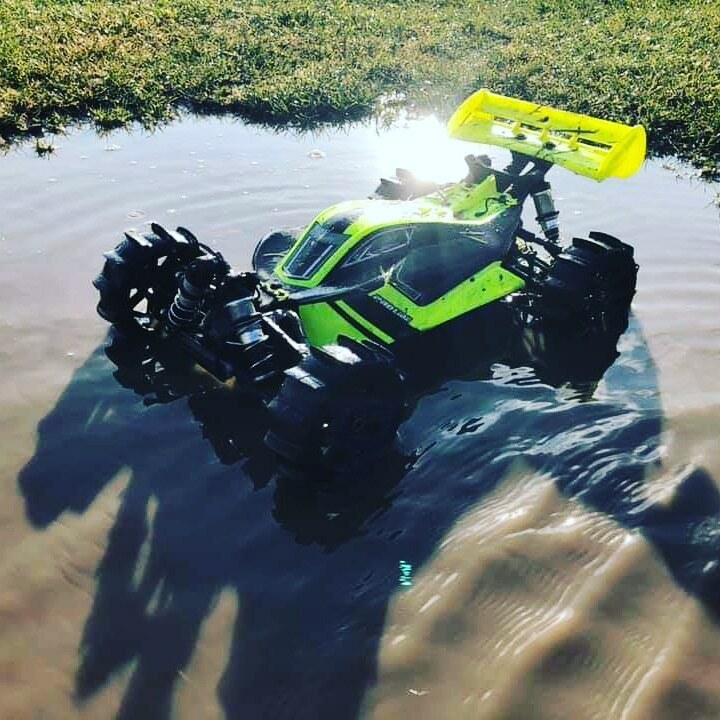 Hitting standing water is a hazard that ARRMA fans are confident they are ready to overcome. 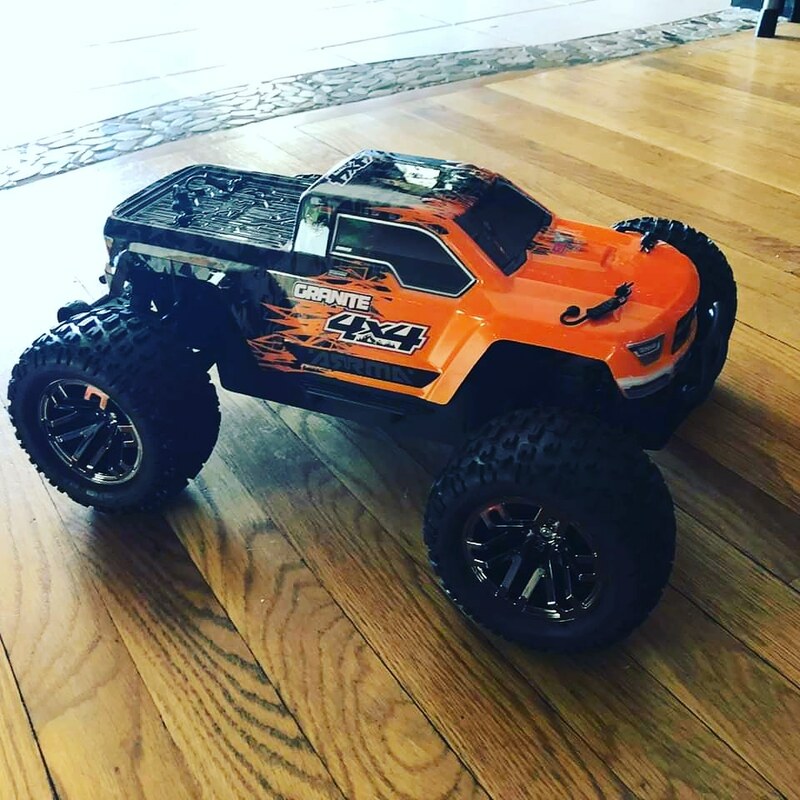 Stock ARRMA diff and shock set ups are beautifully balanced, meaning fans of responsive handling can always rely on fast and agile transmitter responses, when they hammer the throttle. 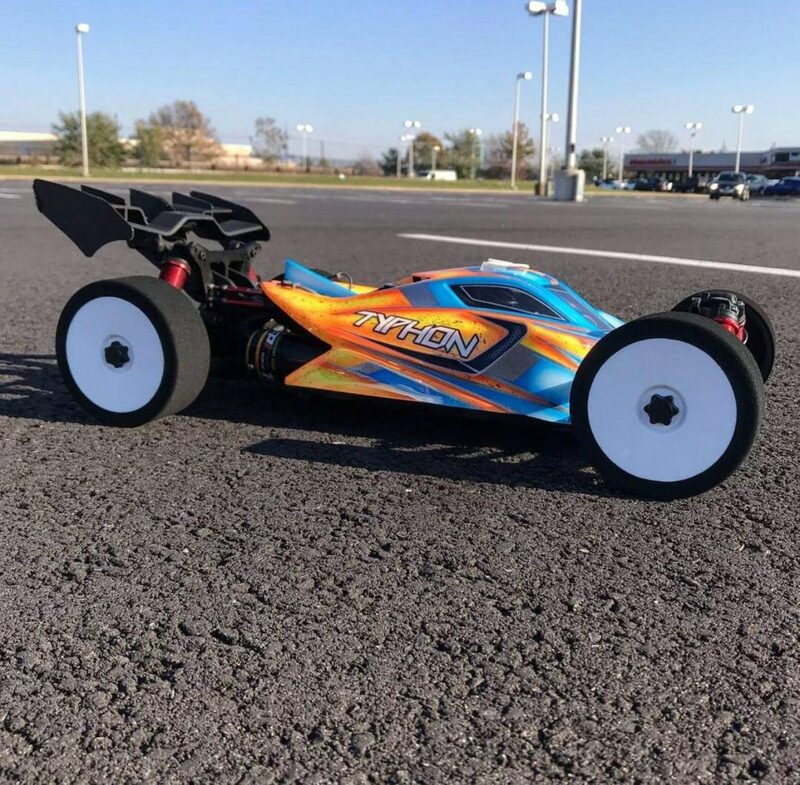 A few simple shock position adjustments allow higher or lower ride height settings to be achieved, which easily soaks up whatever the local mall parking lot has to offer. 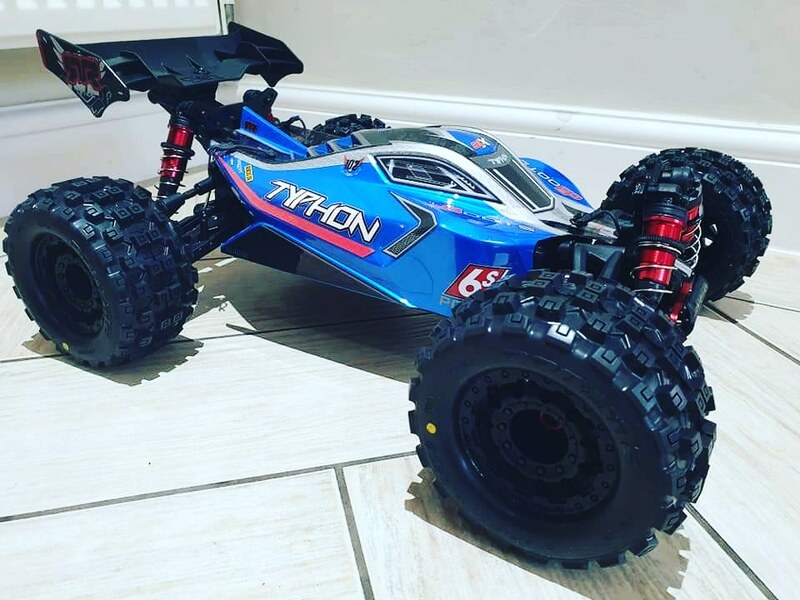 The trend of stretching the TYPHON 6S Speed Buggy, by fitting a TALION chassis plate, is a guaranteed way to add even more straight line stability, allowing ballistic top speed to be balanced and controlled. 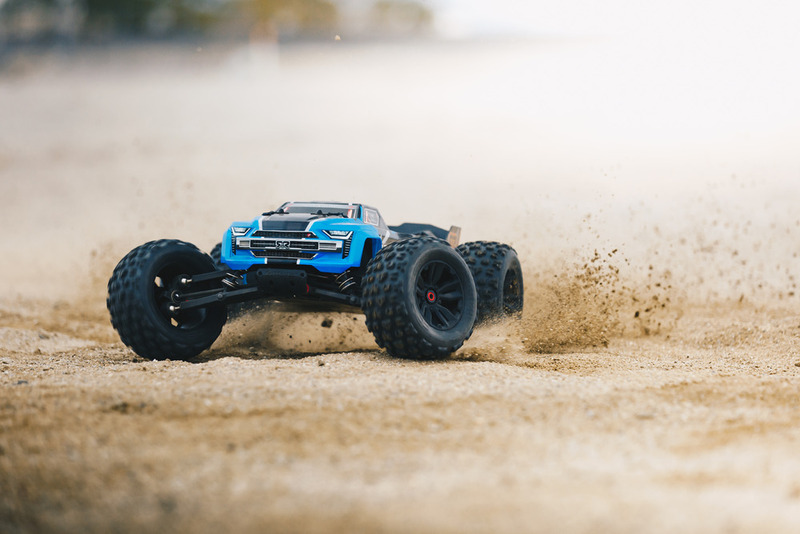 The longer the wheelbase, the easier the street ripping BLX power is handled when shooting straight for the horizon. 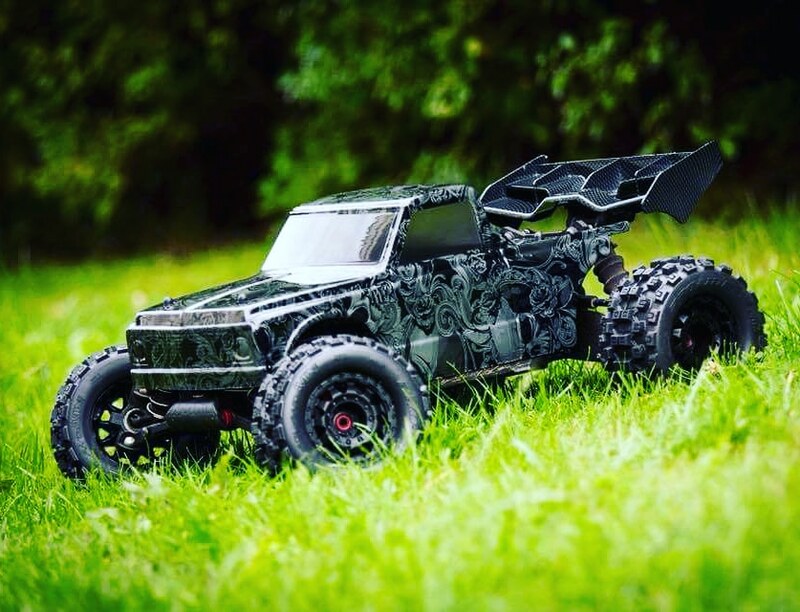 Low and mean are the popular themes for ARRMA fans who choose to add a custom look, when they are attacking a street battle. 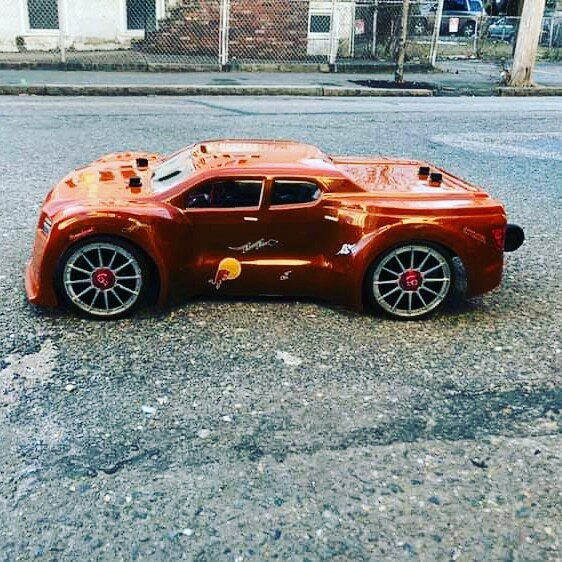 Custom painted optional body shells bring a huge opportunity for bragging rights, meaning street blasting sessions are packed full of chances to style it out like a true speed King. 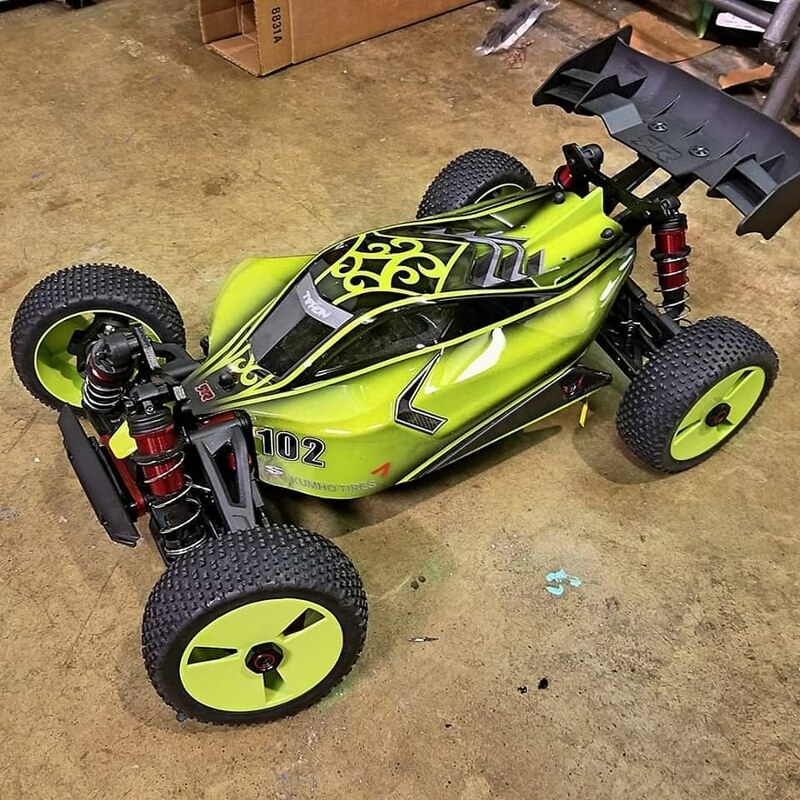 No matter how ARRMA fans choose to push the limits on hard surfaces, it is certain that this pulse-racing culture is here to stay. 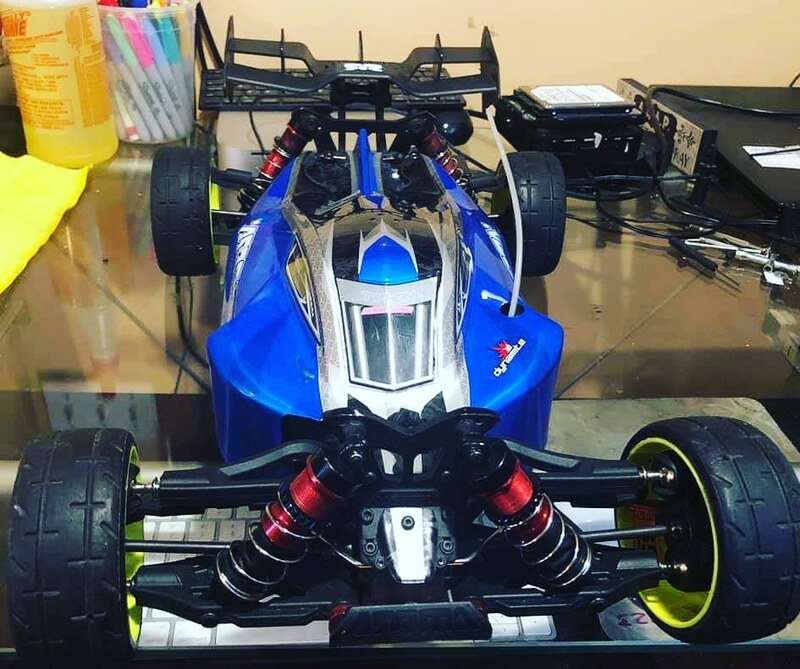 BLX brushless power is the perfect gateway to your own personal best speed run. 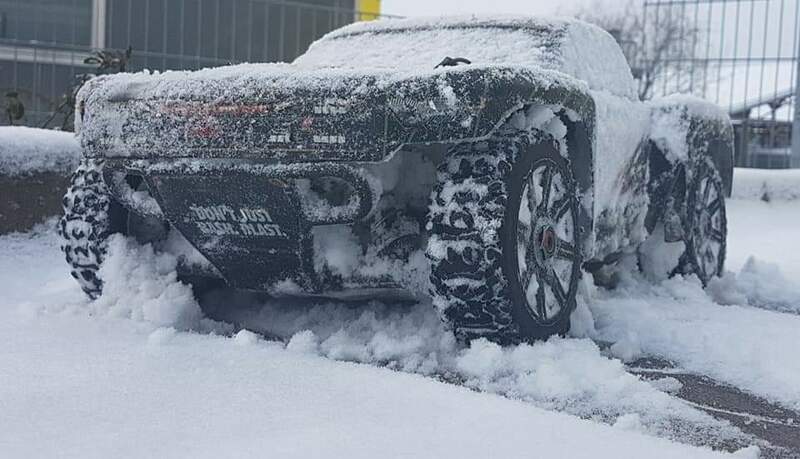 Just hold on tight and have fun.